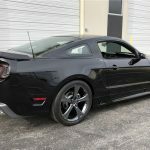 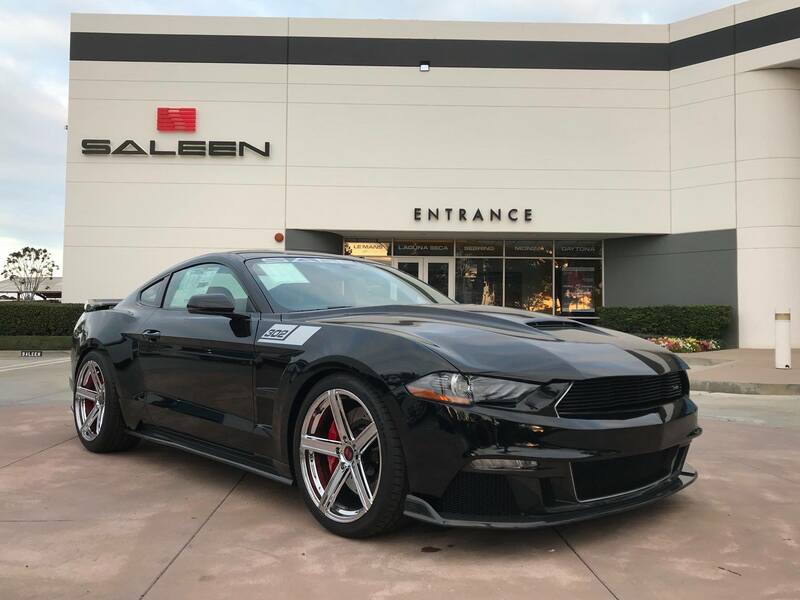 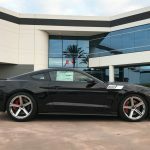 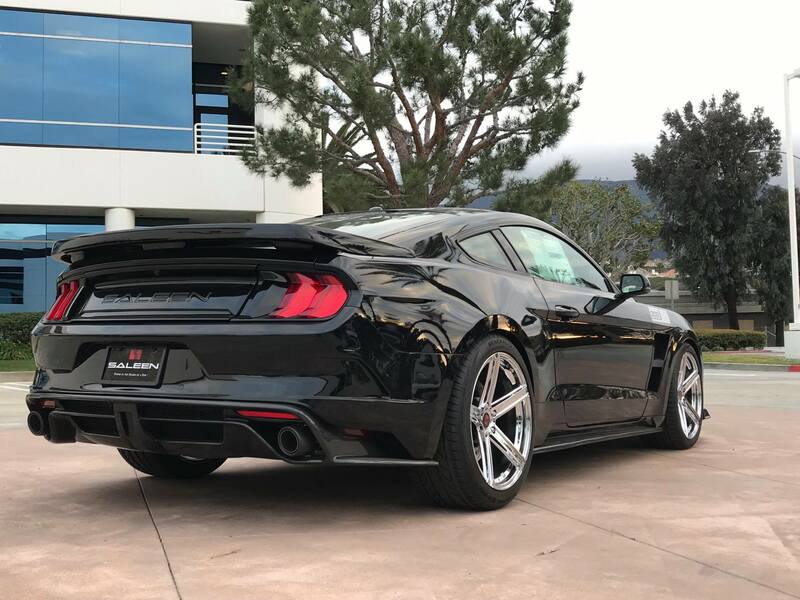 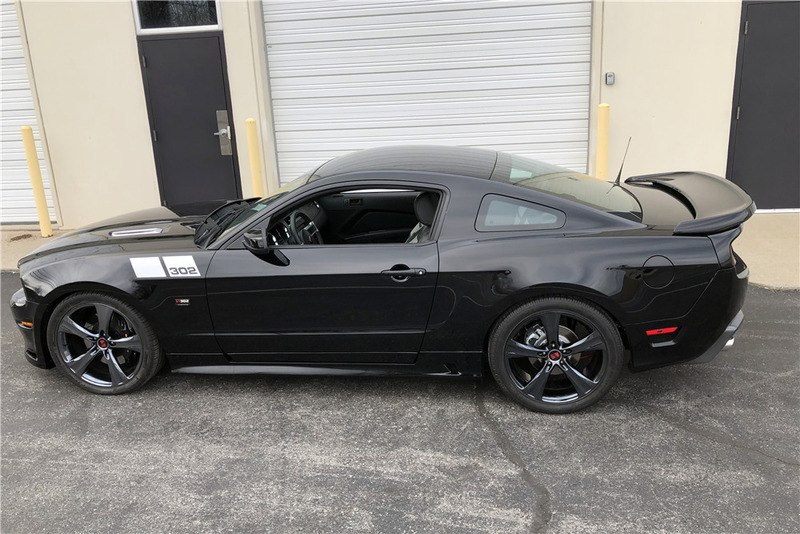 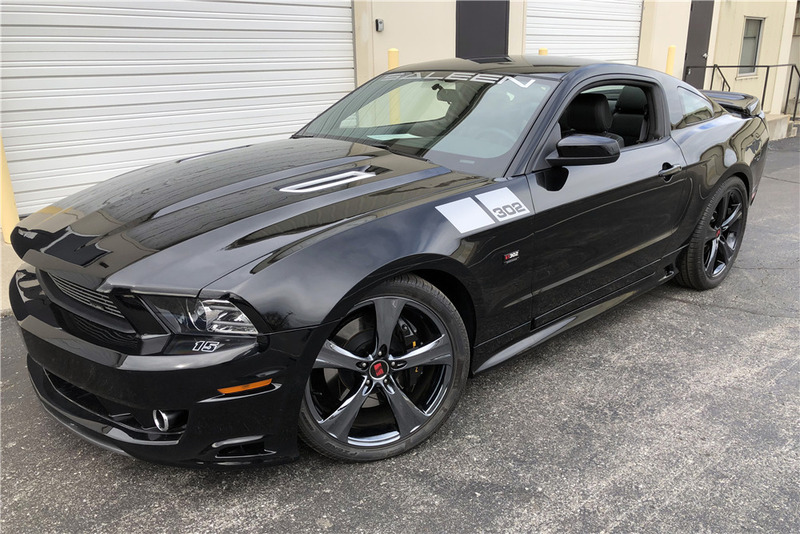 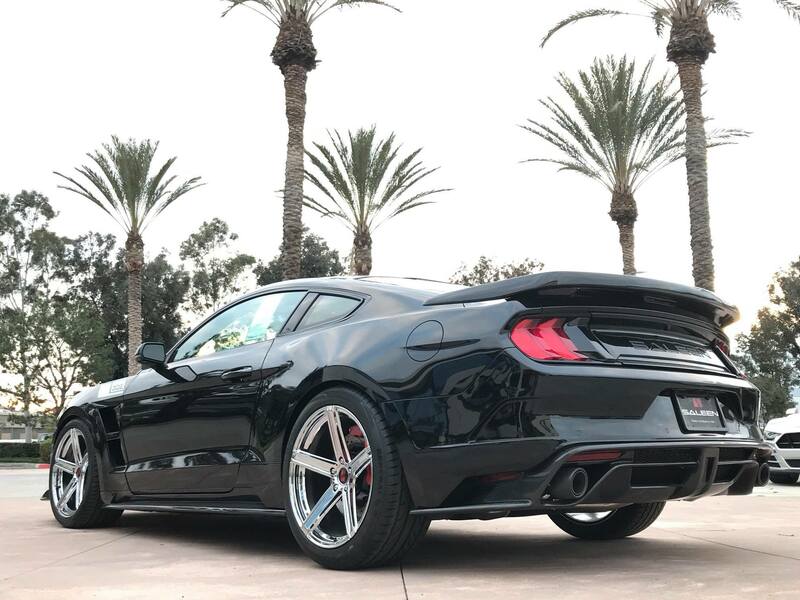 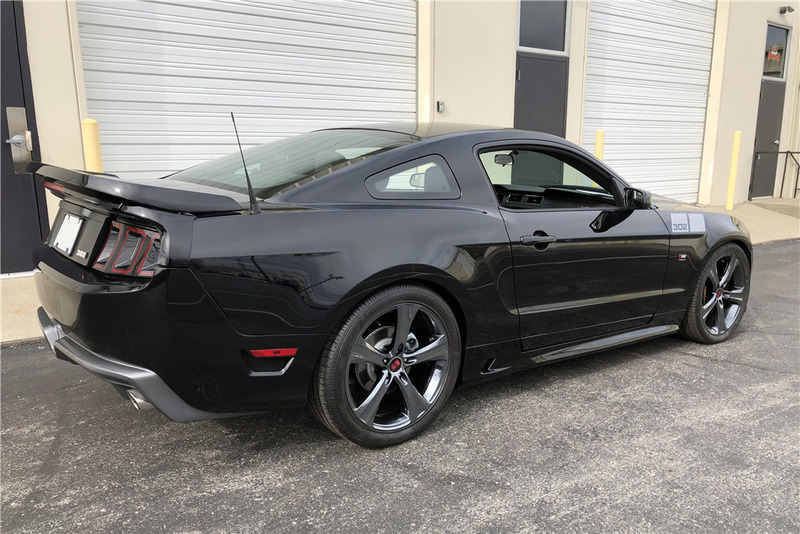 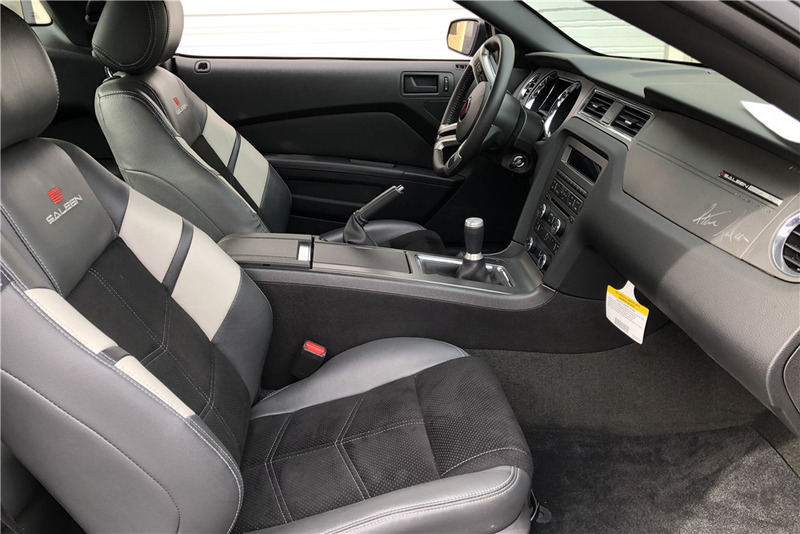 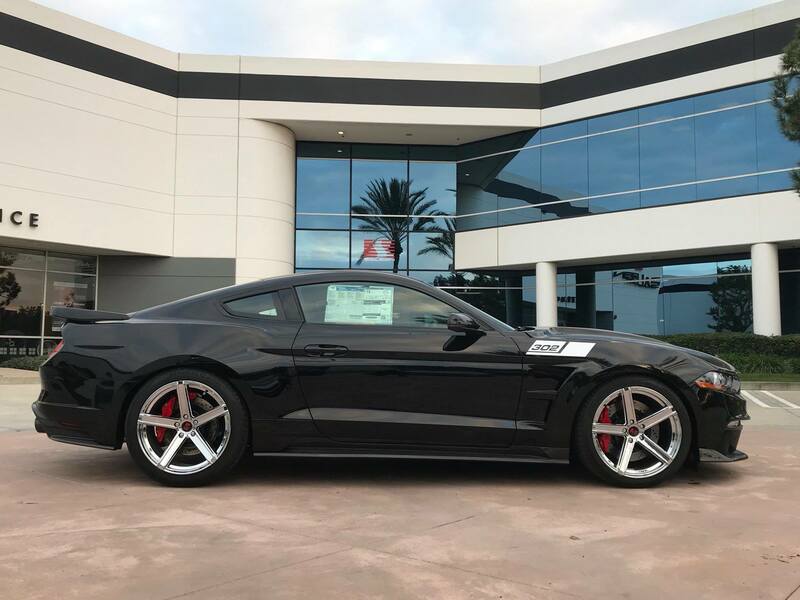 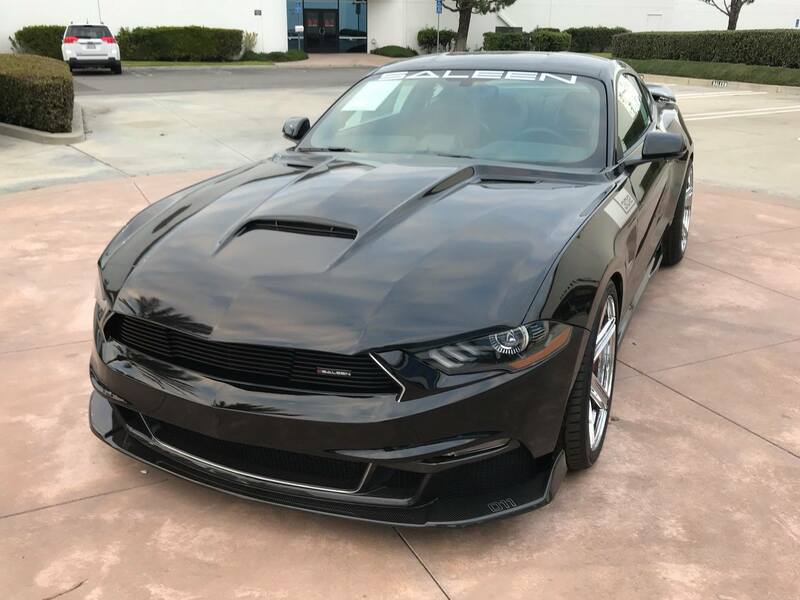 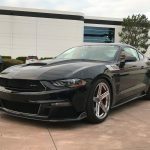 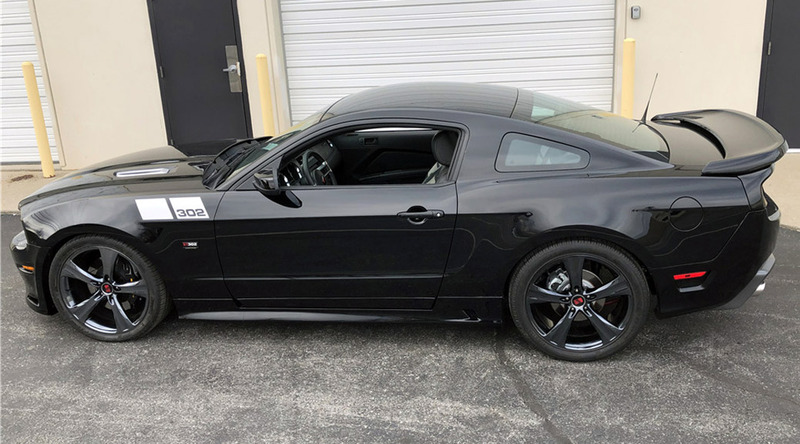 Lot #654 – This 2014 Saleen Mustang Black Label 302SSC is powered by a 625hp 5.0-liter V8 with a Saleen supercharger, backed by a 6-speed manual transmission, and has 630 actual miles. 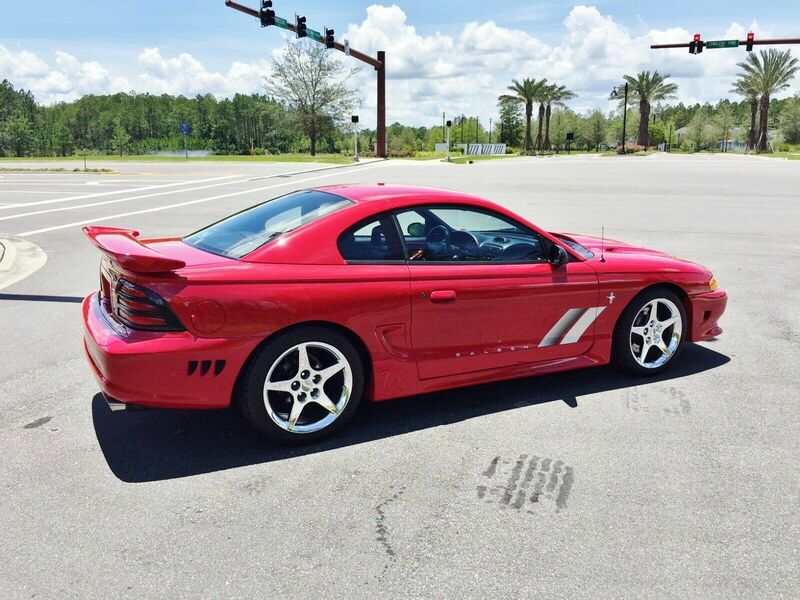 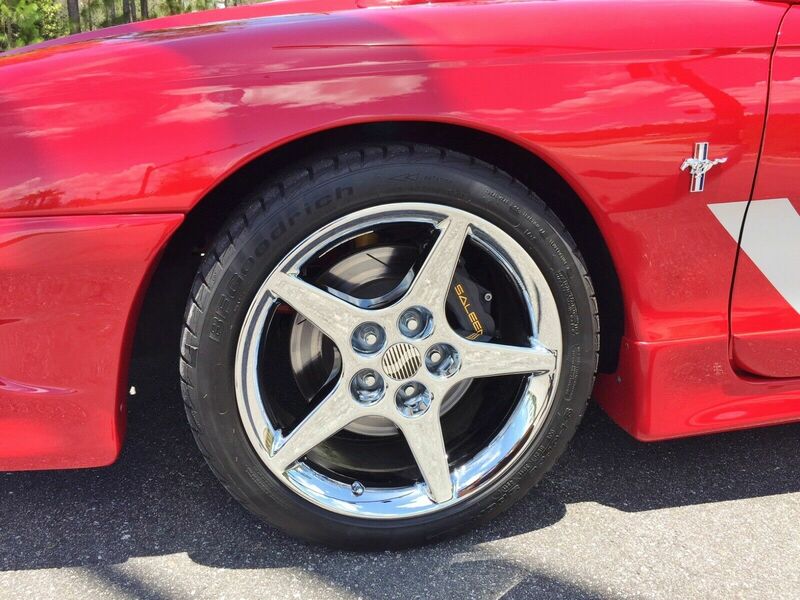 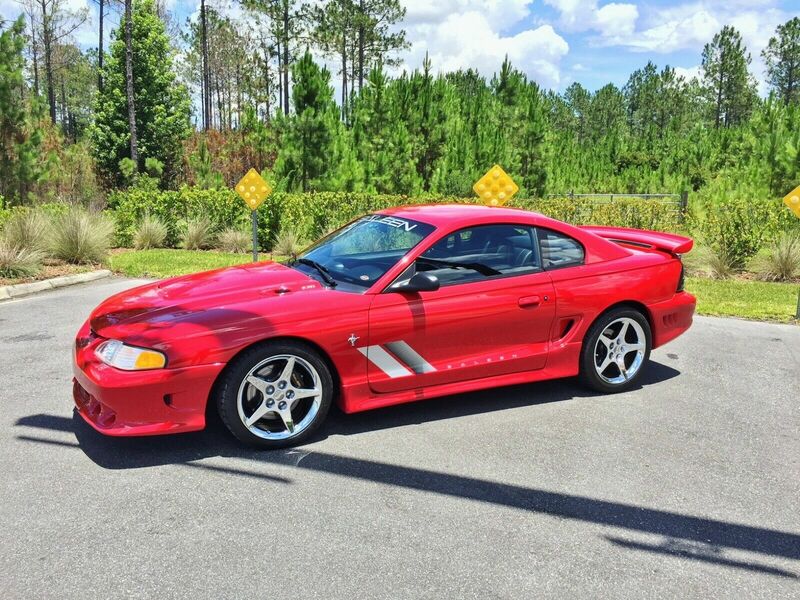 Serial #15 for 2014 Saleen cars built, this example is one of 10 302SSC coupes built in 2014. 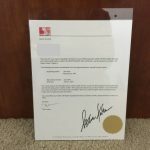 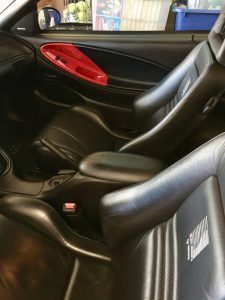 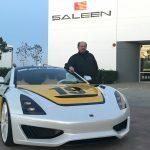 The dash is signed by Steve Saleen, and the car comes with a Saleen build book containing pictures of the build. 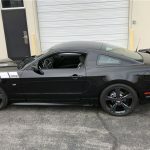 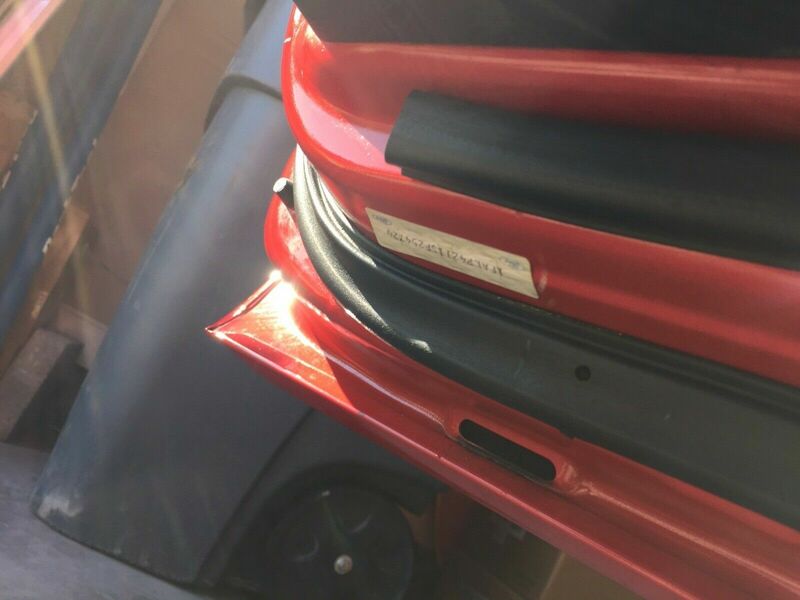 This modern muscle car was originally purchased new by Valvoline LLC and was used as a promotional vehicle before being placed in warehouse storage. 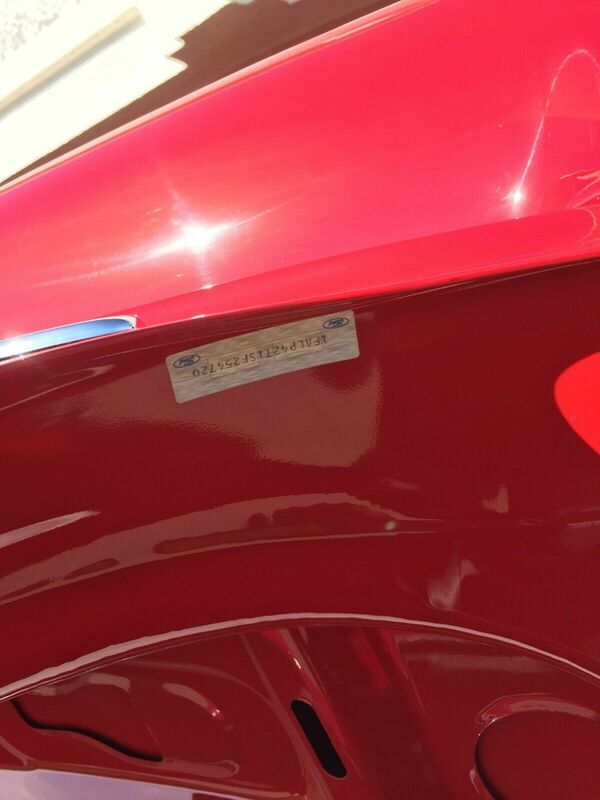 In 2018 it was rediscovered and displayed at corporate employee events. 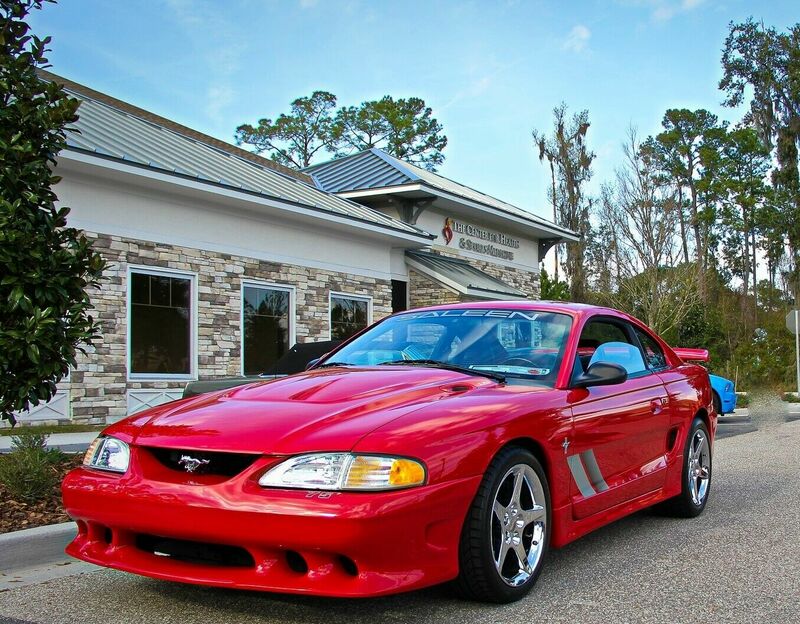 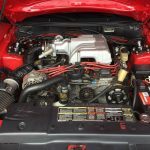 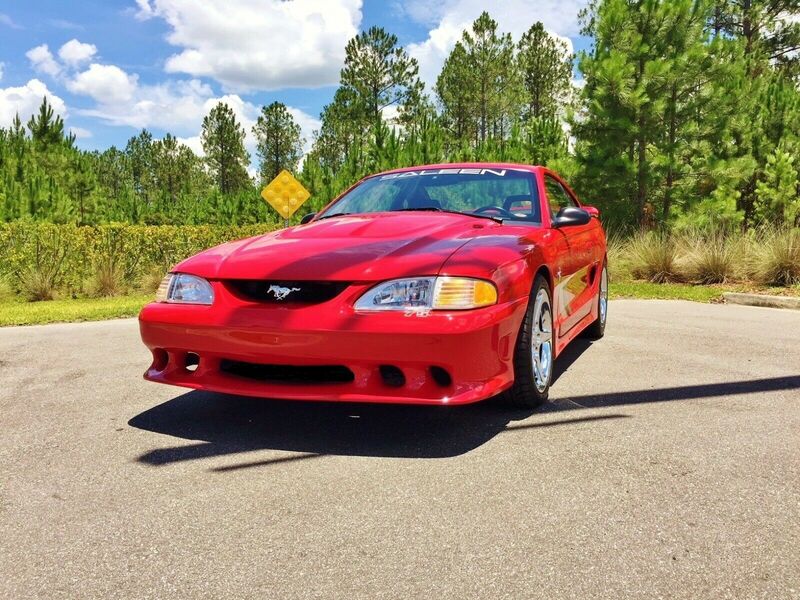 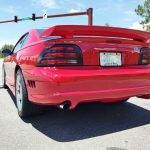 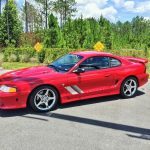 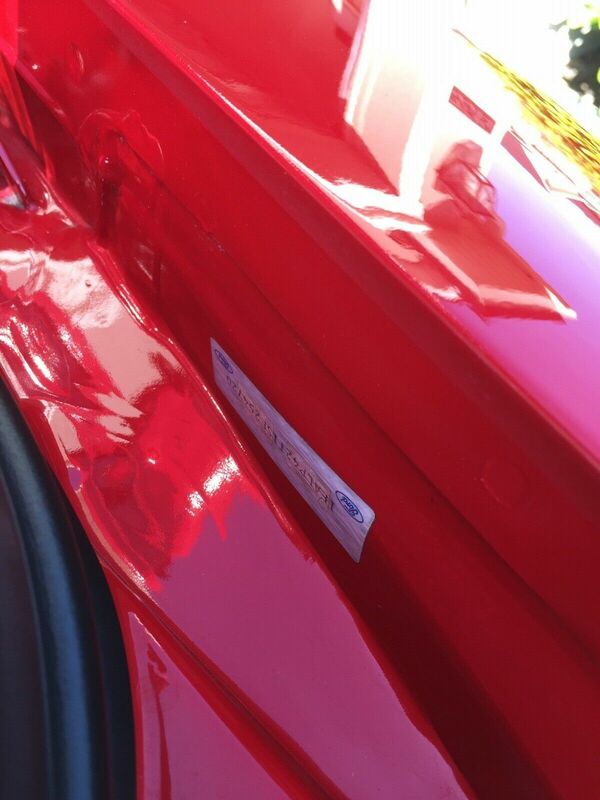 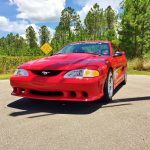 Valvoline LLC has now decided to return the car to the Mustang and Saleen collector community. 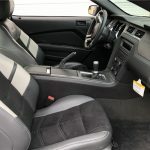 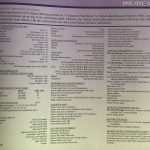 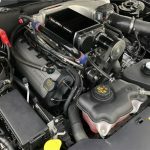 CARFAX shows Ford Motor Company manufacturer safety recalls issued on 05/27/2015: Driver airbag inflator replacement; and on 01/26/2019: Passenger airbag inflator replacement. 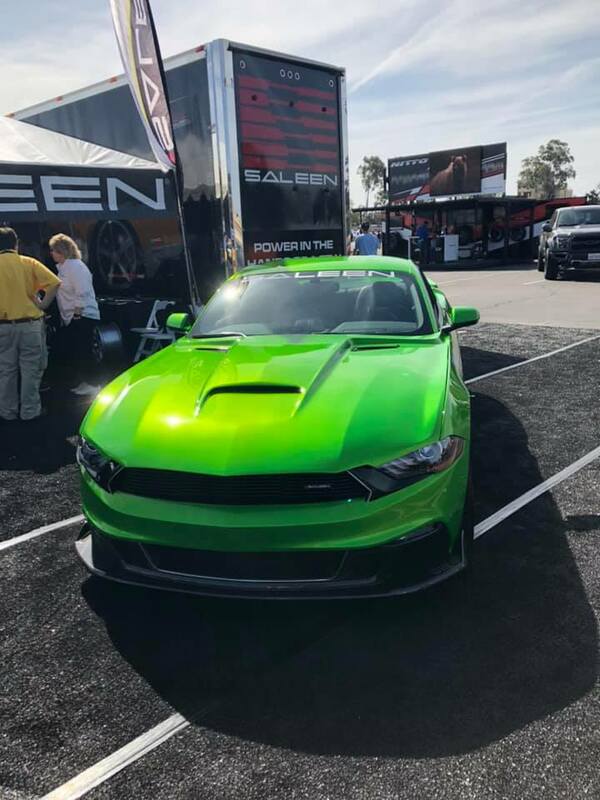 The Saleen brand was established in 1983 originally as Saleen Autosport. 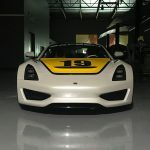 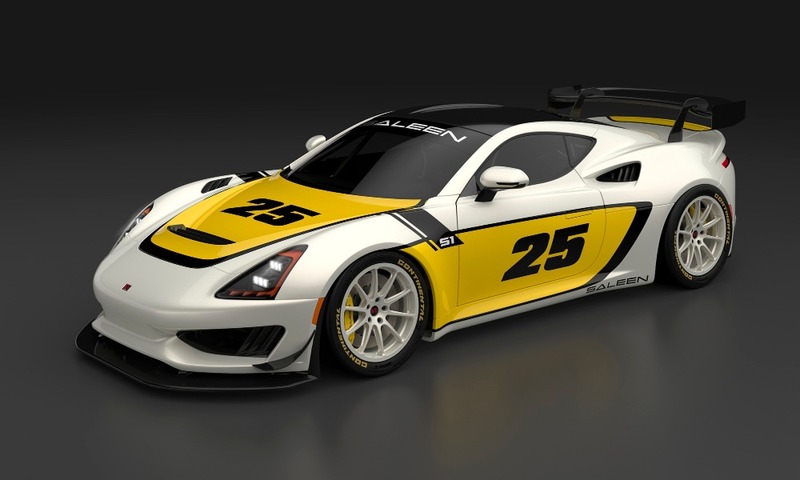 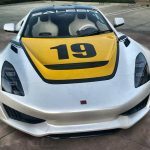 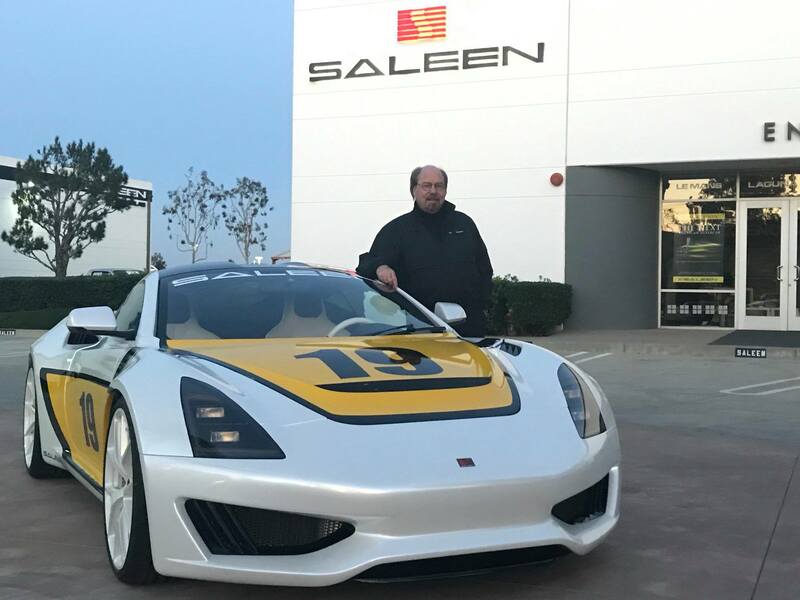 Steve Saleen is a racer: a former professional Formula Atlantic race driver. 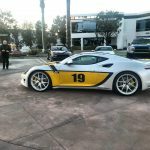 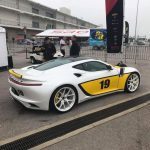 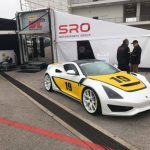 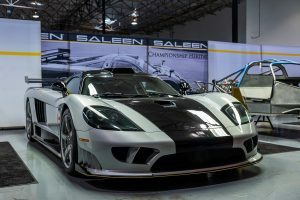 Racing is at the heart of what Saleen has been doing for more than 30 years: Building fast cars and trucks that can compete on both street and circuit. 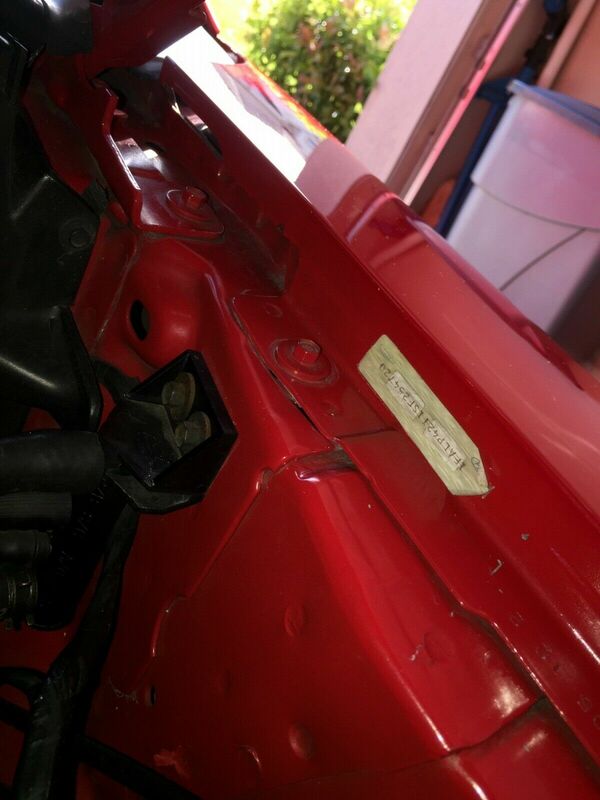 Simple enough, it seems. 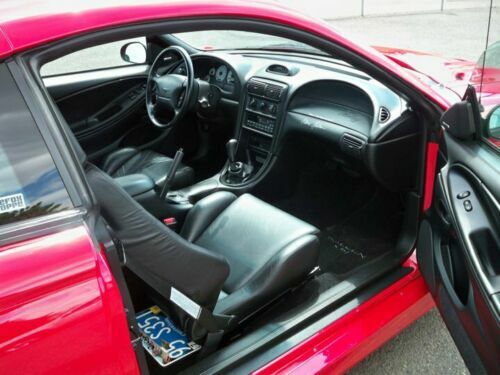 But there’s more to it than that. 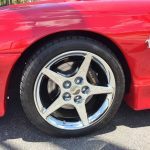 Being fast isn’t just about closing the gap between points A and B. It’s about balance and consistency. 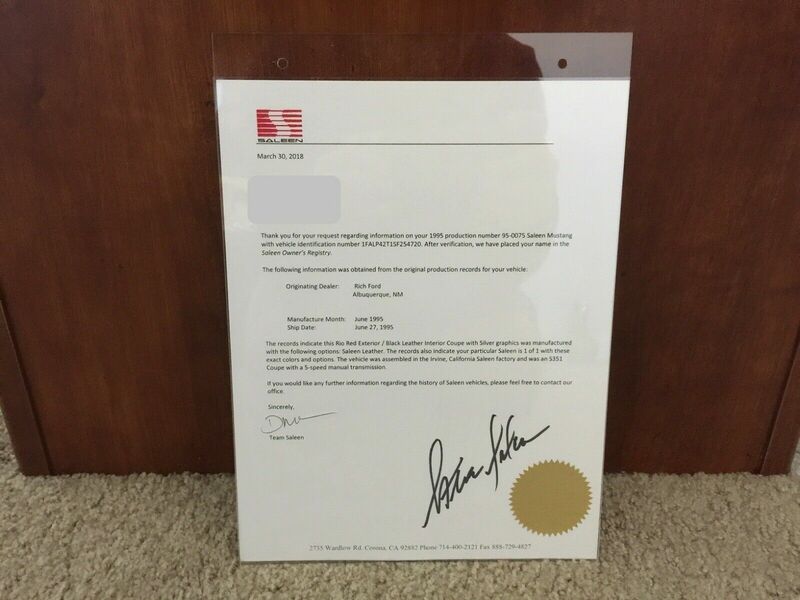 And it has to be accomplished within the rules. 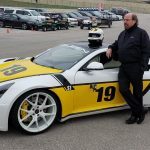 It requires a “big picture” perspective because a driver’s car is more than just a collection of systems. Building a well-balanced sports car, be it for the track or for the street, requires a holistic approach. This was demonstrated in August 2000, when Saleen unveiled the S7. 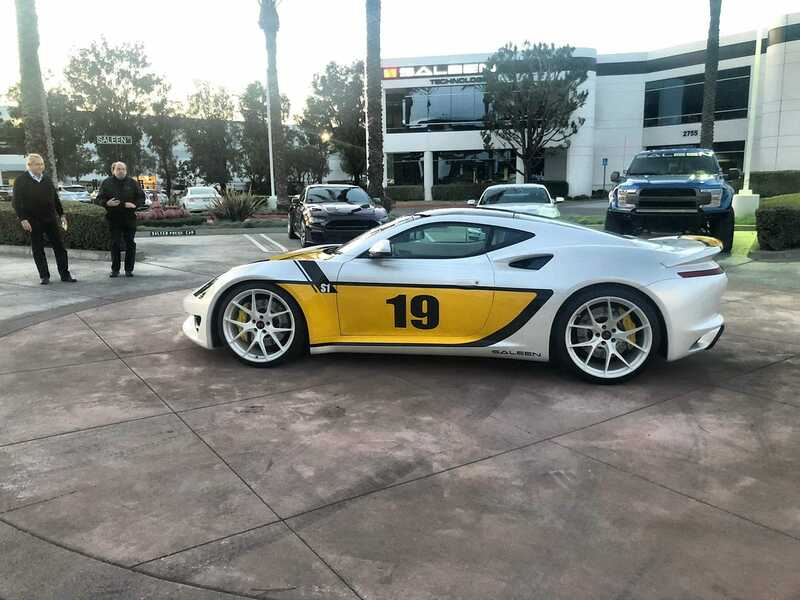 The first successful American supercar that also became a successful race car, securing a class win at the 2010 edition of the 24 Hours of Le Mans as well as an upset victory at Imola in 2004, in front of Ferrari’s executives, VIPs, and journalists. We arrived at Saleen’s Corona, California headquarters on a rainy January morning. 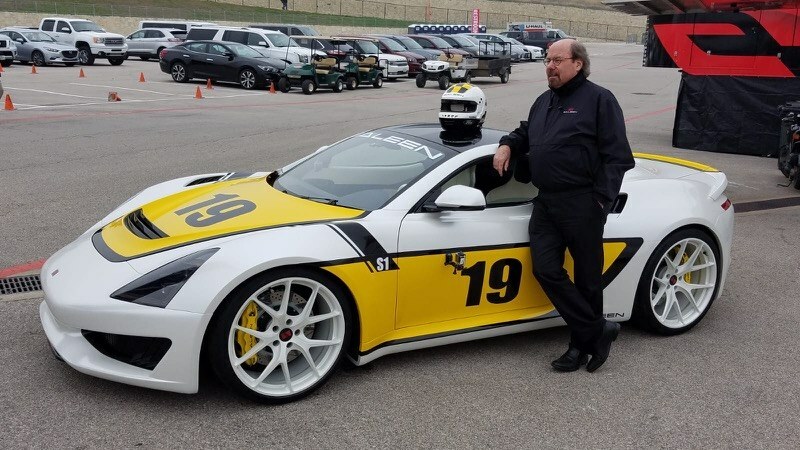 After amiable introductions, we were given a guided tour of the facilities by the man himself. 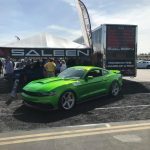 As we passed through the workshop filled with Mustangs and trucks in various stages of completion we’re given an overview of the company. 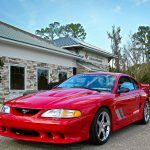 A dark red Saleen Mustang from the 1980s is parked in one corner and a pre-production example of the upcoming S1 sports car reposes nearby. 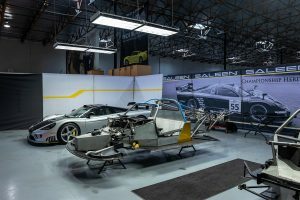 Saleen guides us through the workshop, describing the extent to which they alter the cars and trucks that are eventually offered for sale. 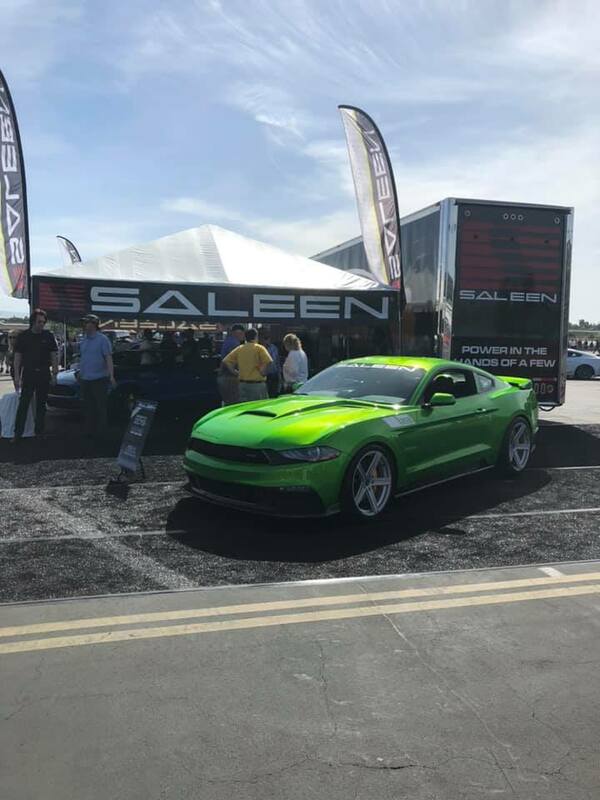 Saleen not only has to deliver improved performance, it also must be tested and certified for use on public roads. 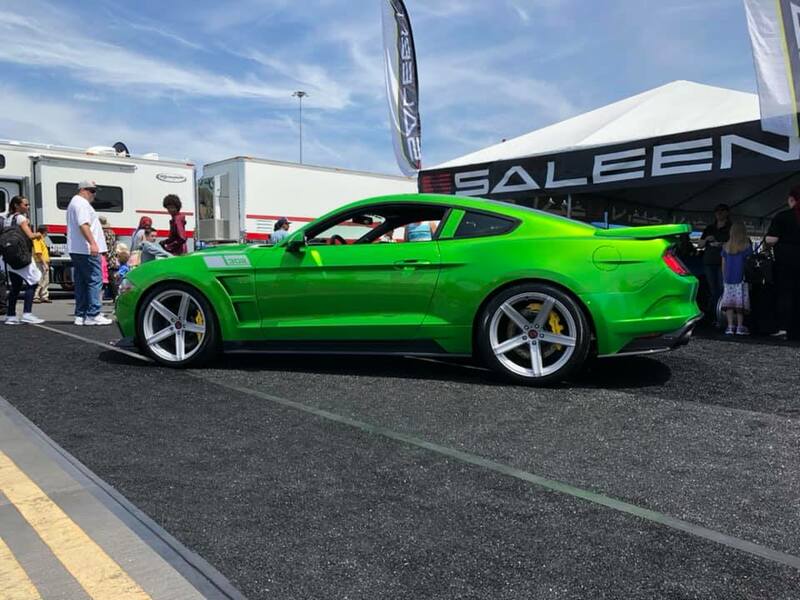 The Mustangs that Saleen sells are extensively changed from their factory configurations. 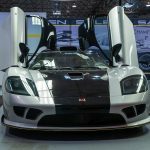 Only the doors and quarter panels remain unchanged, according to Saleen. 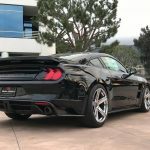 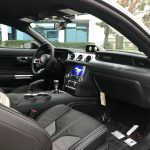 But, he also points out that designing the S7 from the ground up freed them from having to implement the workarounds associated with re-engineering an existing platform, such as the Mustang. 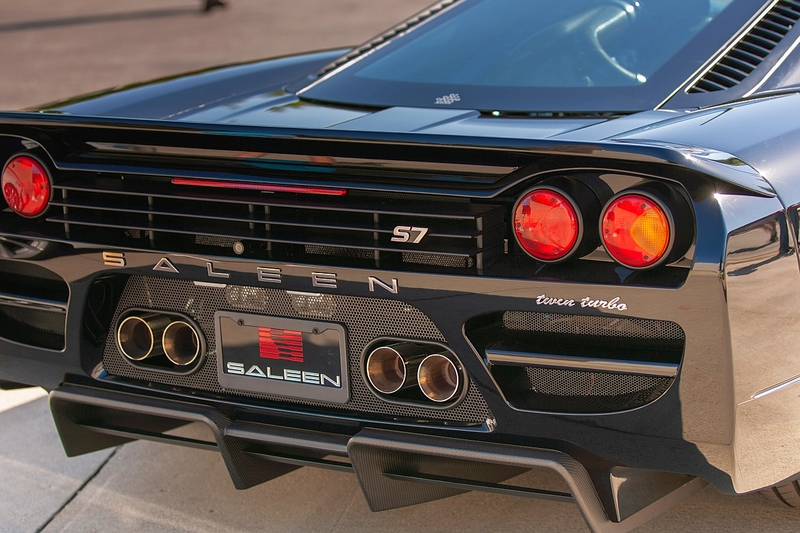 As we move through the R&D area, Saleen recounts the early development of the S7. 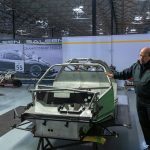 The green light to build the car was given in December 1999 and it was formally unveiled in August 2000. 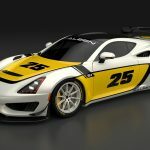 It was first visualized in one-fifth scale foam, then in CAD. It was wind-tunnel tested at the University of Glasgow in Scotland. 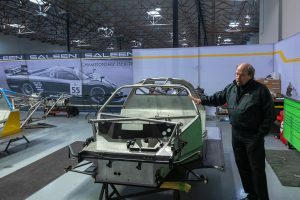 Assembly took place at Saleen’s previous facility in Irvine, California. 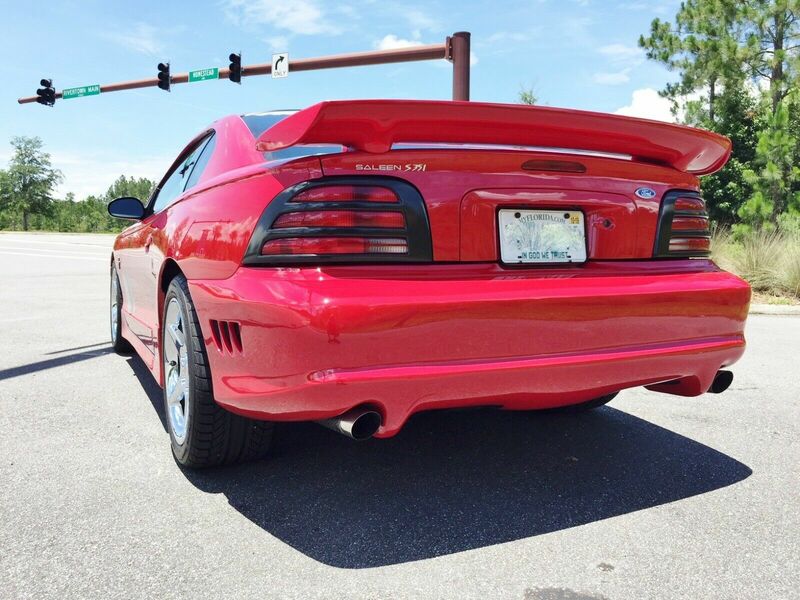 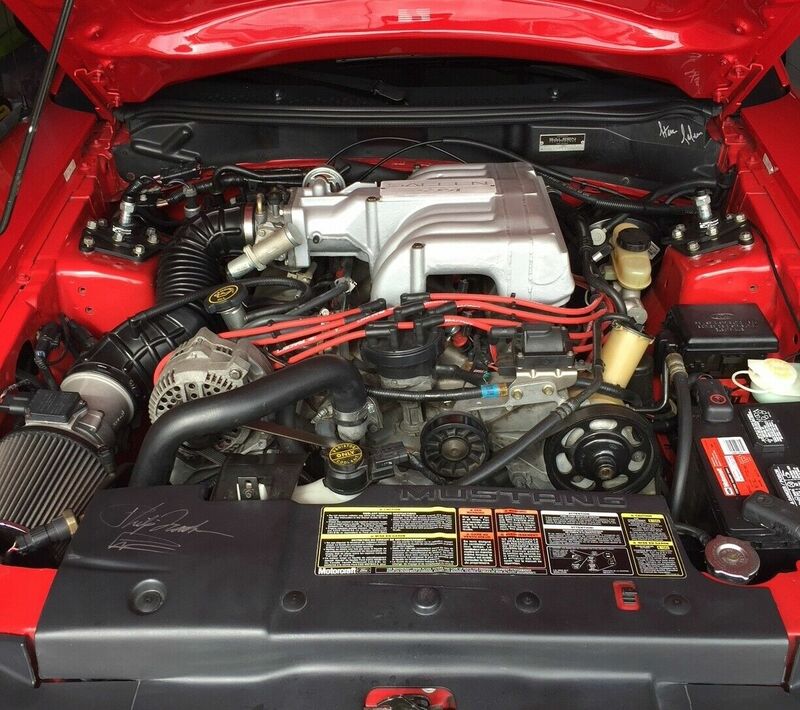 The original iteration of the S7 was powered by a naturally aspirated, 7-liter, aluminum small block V8. 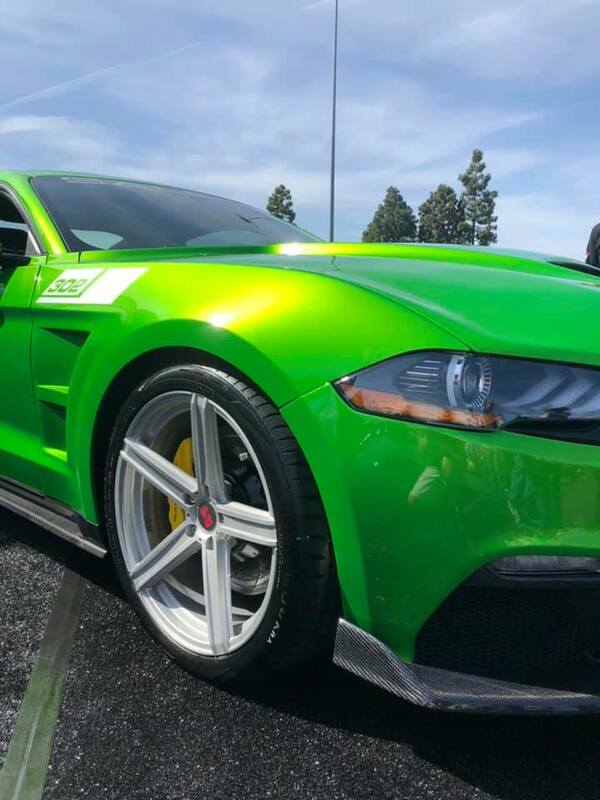 The final product was a head-turning, mid-engine, 550 horsepower, American supercar. 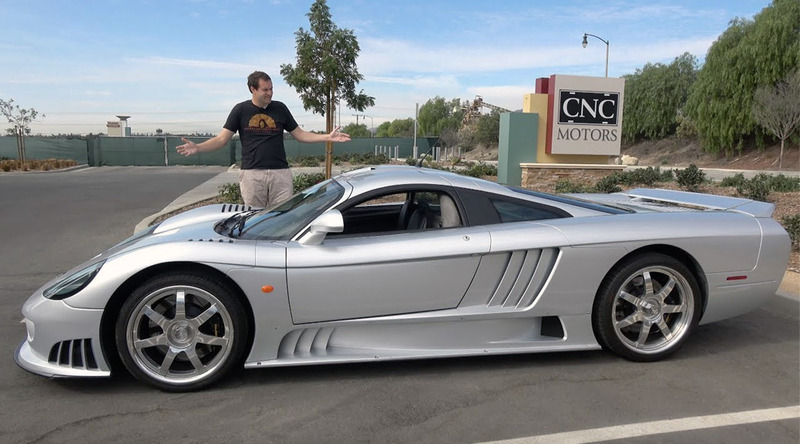 If not the absolute first of its kind it’s certainly more credible and successful than the Vector W8 and M12. 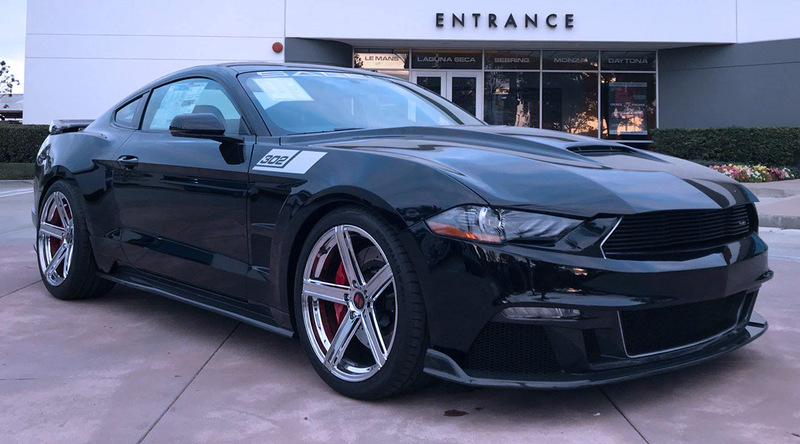 The S7 promised a 3.3 second 0-60 time and an 11.3 second standing quarter mile. 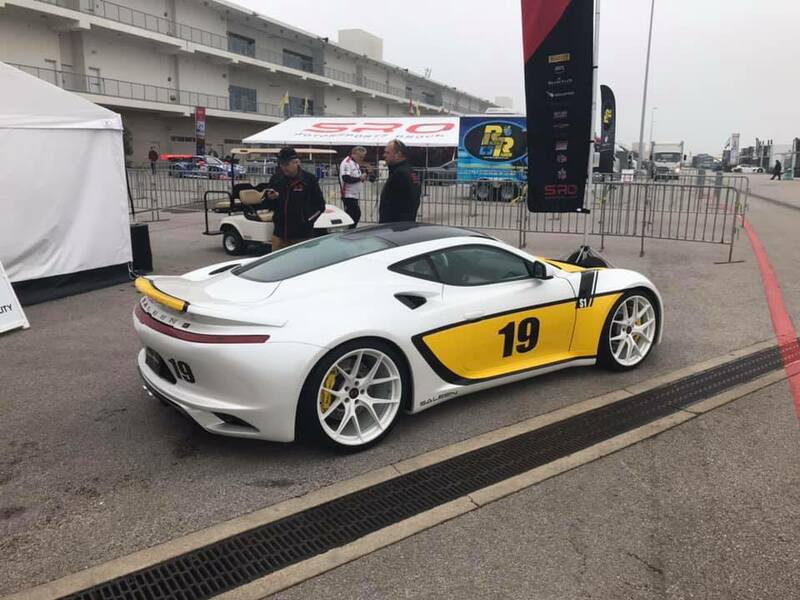 It also promised a future on the race track. 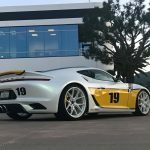 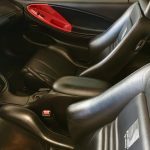 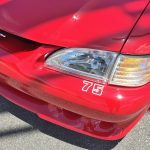 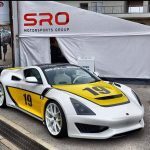 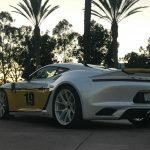 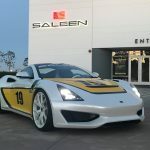 When asked if the 24 Hours of Le Mans was specifically taken into consideration when designing the S7, Saleen’s answer is short and direct: “Racing was taken into consideration.” Not a specific race or circuit, not even a track with the unique demands of the Circuit de la Sarthe. 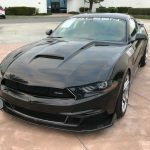 This comment resonates. 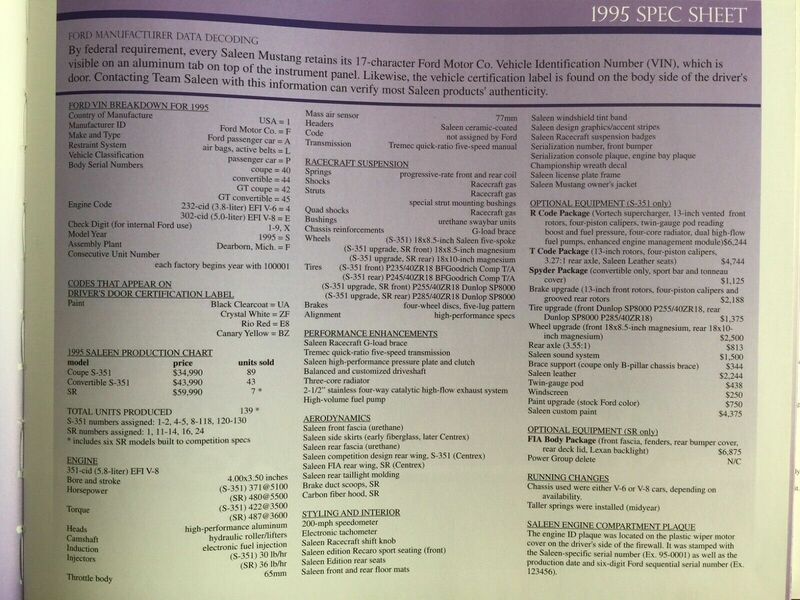 It’s not about specific numbers. 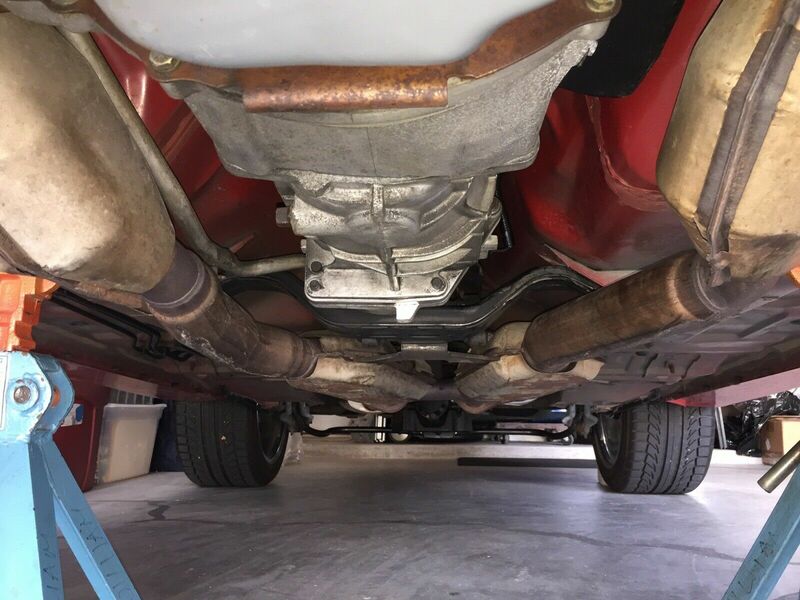 It’s the whole picture. 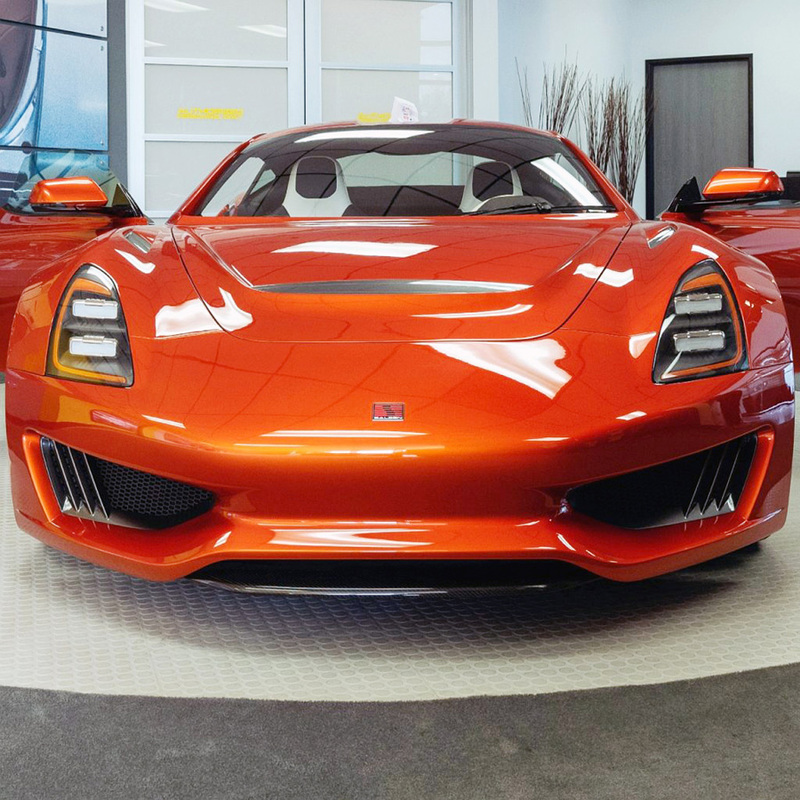 The S7 was built to be both a street legal supercar and a race car that could compete at the highest levels. 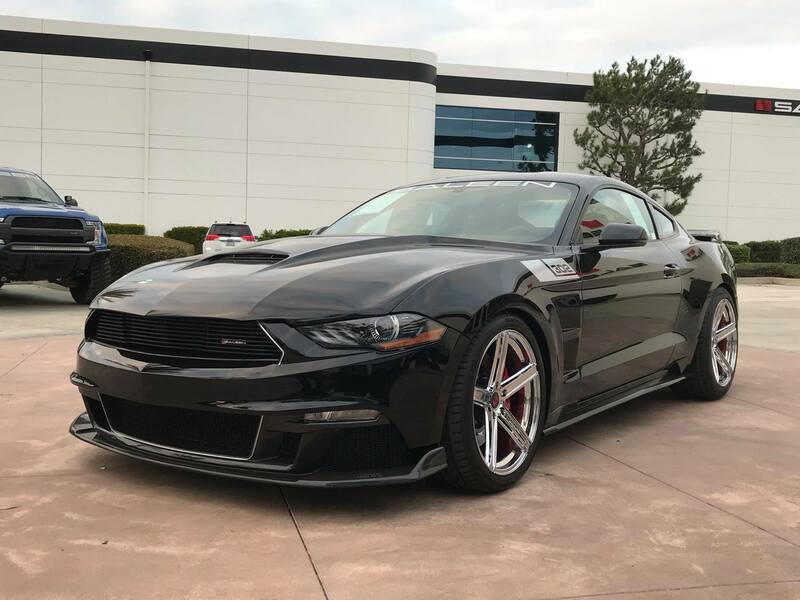 Relatively little separates the two. 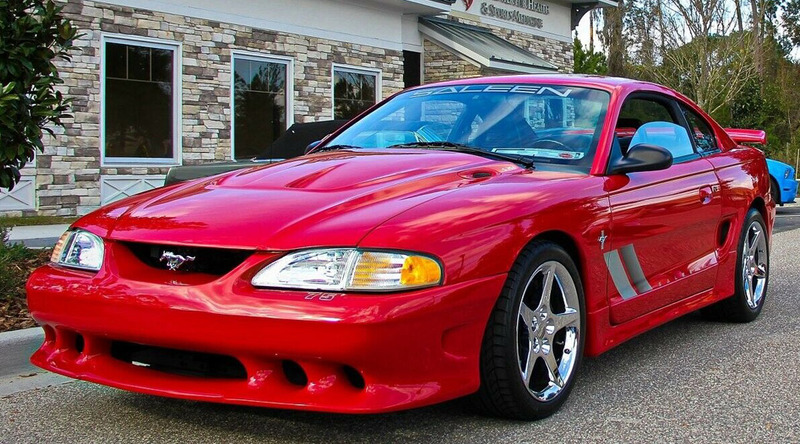 The S7 was made to go racing and that’s exactly what it did. 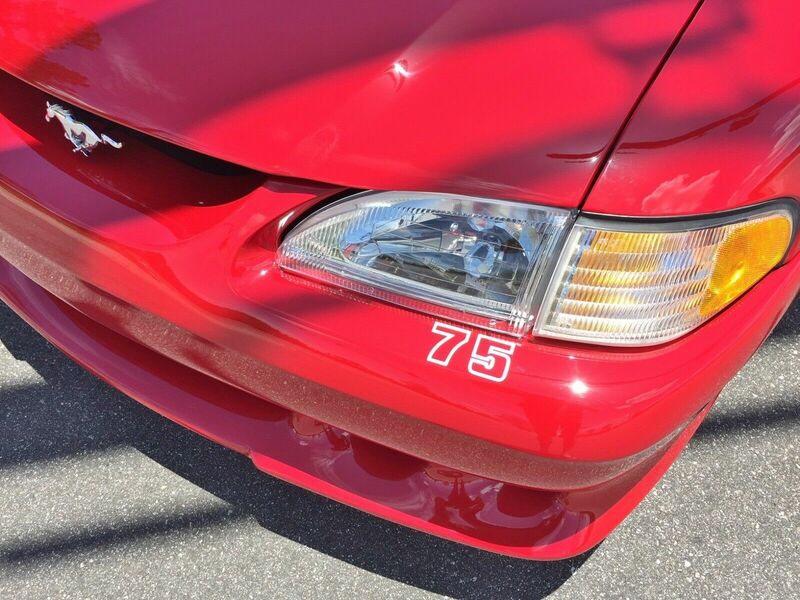 The racing variant of the S7, dubbed S7-R, made its racing debut at Laguna Seca in October 2000. 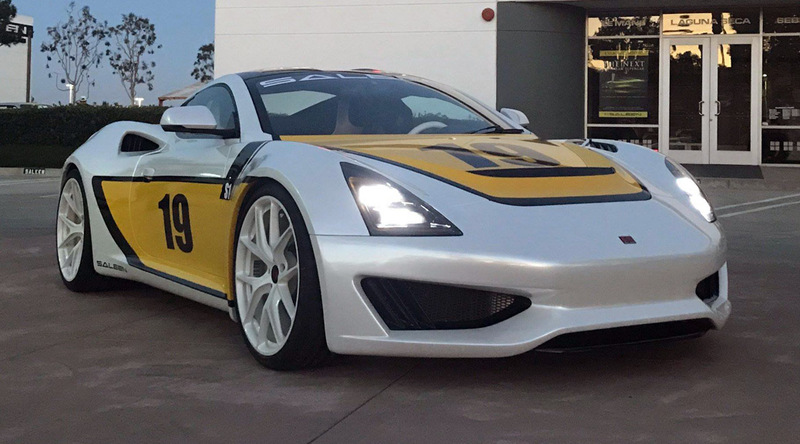 Less than six months later, the S7-R won its class and finished sixth overall at the 12 Hours of Sebring. Then came a podium finish and an 18th place overall finish at Le Mans. 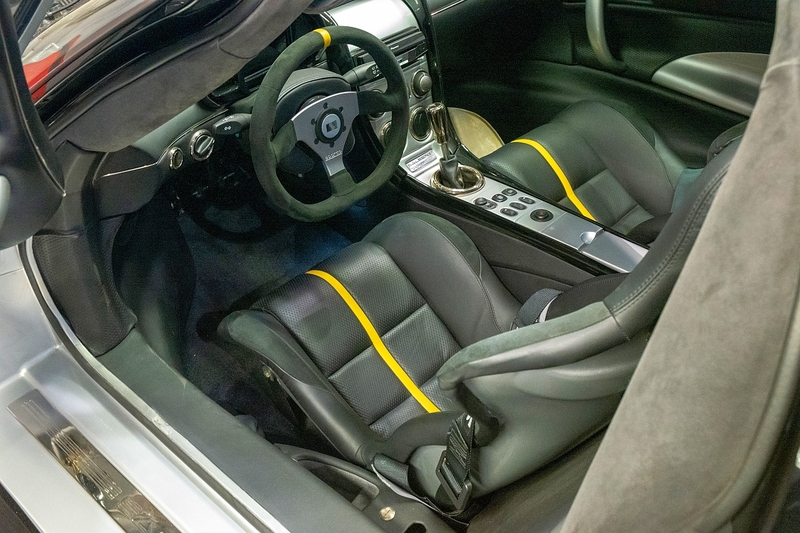 The S7-R went on to compete and succeed in multiple sports cars and endurance racing series for nearly 10 years. 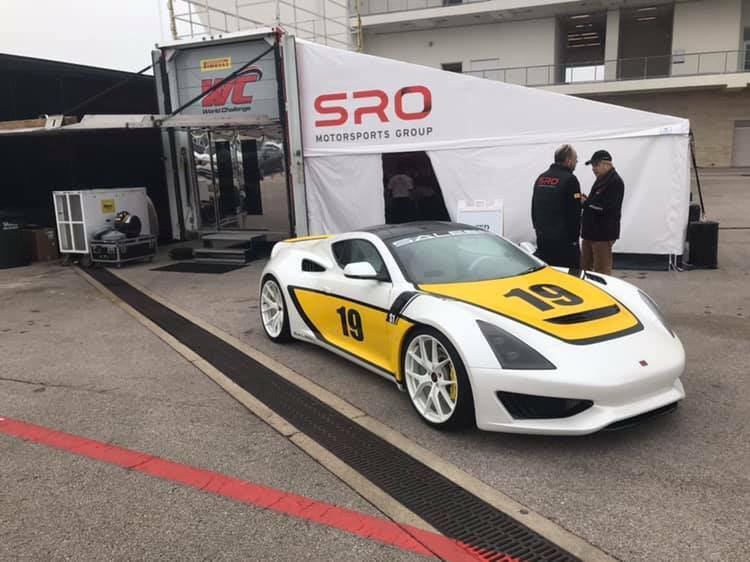 In 2004, the S7-R raced at the FIA GT 500 km of Imola. 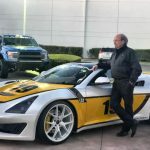 Ferrari Chairman Luca di Montezemolo had convened a gathering of motoring press and VIPs to celebrate the racing debut and “inevitable” victory of the Maserati MC12. 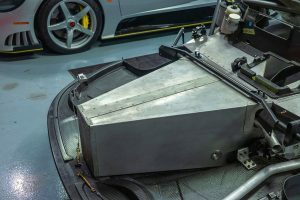 The MC12 was essentially a rebodied Ferrari Enzo and the team running the two entries at Imola was comprised of elements of Ferrari’s factory Formula 1 team. 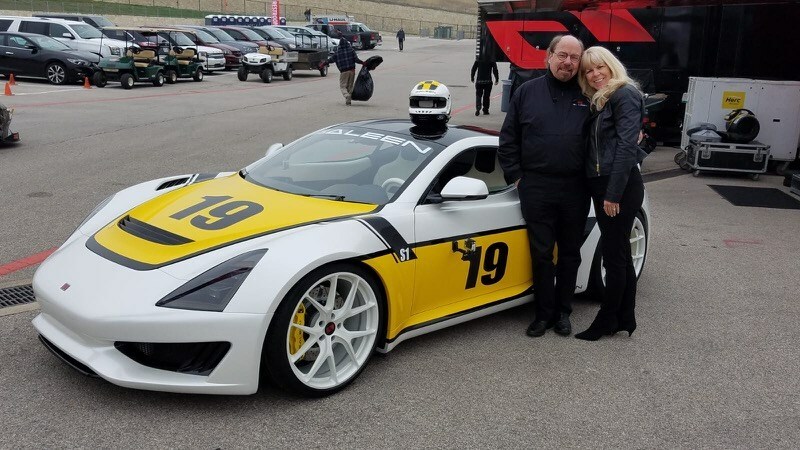 During what was supposed to be an easy win for Ferrari, the Vitaphone Racing Team had intentions of their own. 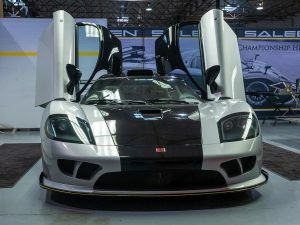 Drivers Michael Bartels and Uwe Alzen powered the #5 Saleen S7-R to an overall victory at Imola, in front of Ferrari’s home crowd. 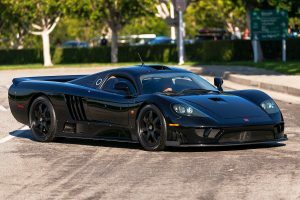 The all-American S7-R supercar clinched overall victory at Ferrari’s home track Autodromo Enzo e Dino Ferrari against two Maserati MC12, three Ferrari 550, three Ferrari 575 and two Lamborghini Murciélago in the GT Class. 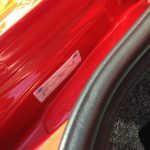 Di Montezemolo issued a public mea culpa, crediting the competition for a clear-cut victory. 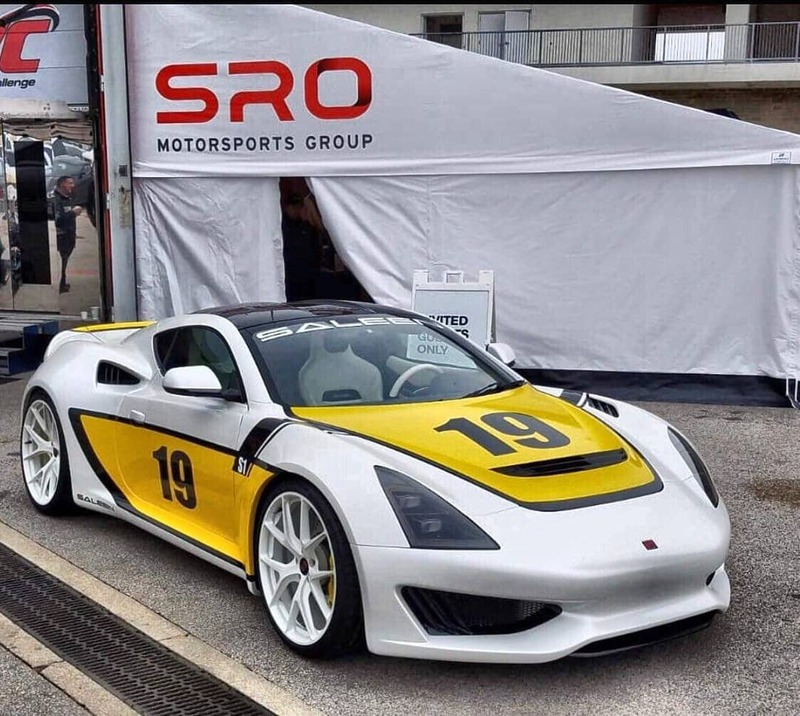 In 2010, the S7-R went on to achieve an LMGT1 class victory and 13th place overall at the 24 Hours of Le Mans. The S7-R had proven itself to still be competitive at a high level nearly 10 years after it was originally designed. 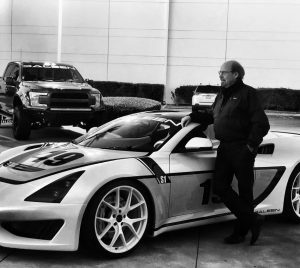 Considering the rate at which sports and endurance racing cars age into obsolescence, this was a remarkable feat. At this point of the tour, we’re led to an enclosed workshop occupied by three S7 chassis in various stages of completion. 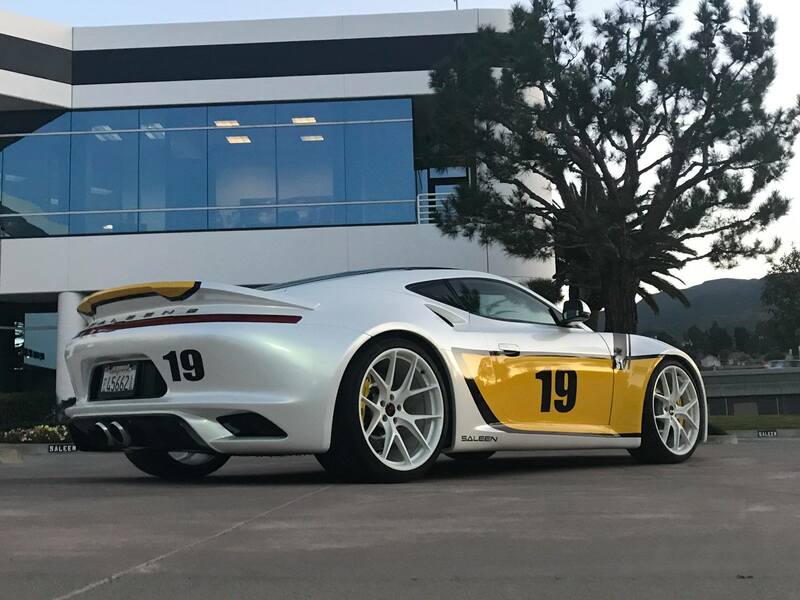 They are part of the final run of 7 cars, called the LeMans Edition. 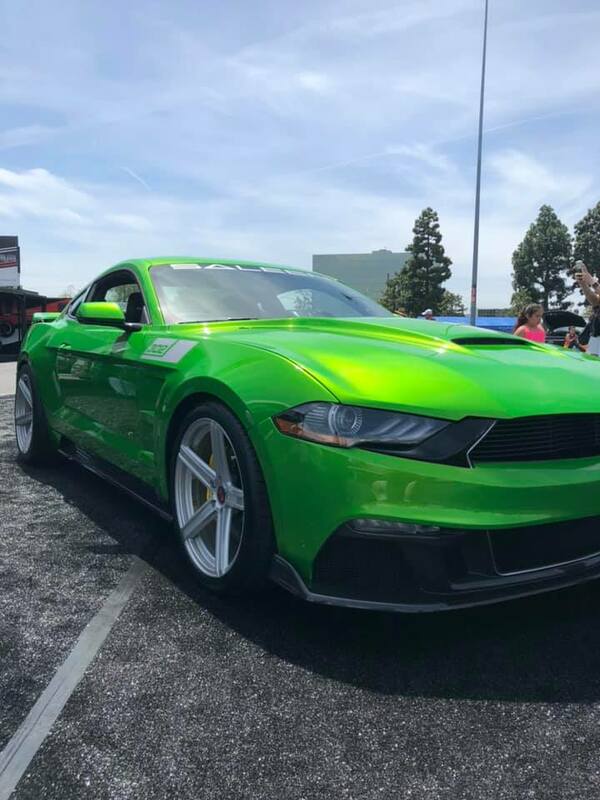 These cars boast an output of 1,100 horsepower on California 91 octane fuel. 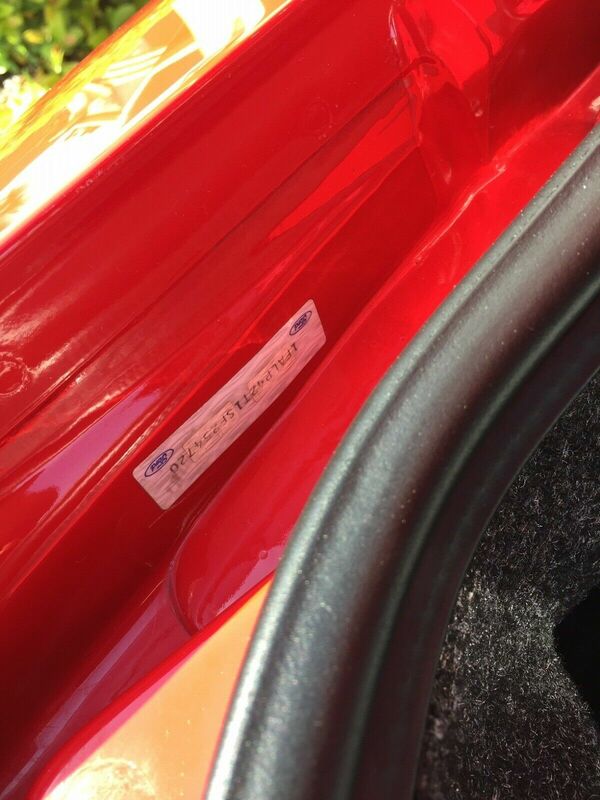 But they have a trick up their figurative sleeves, too: They can also run E85 flex fuel. 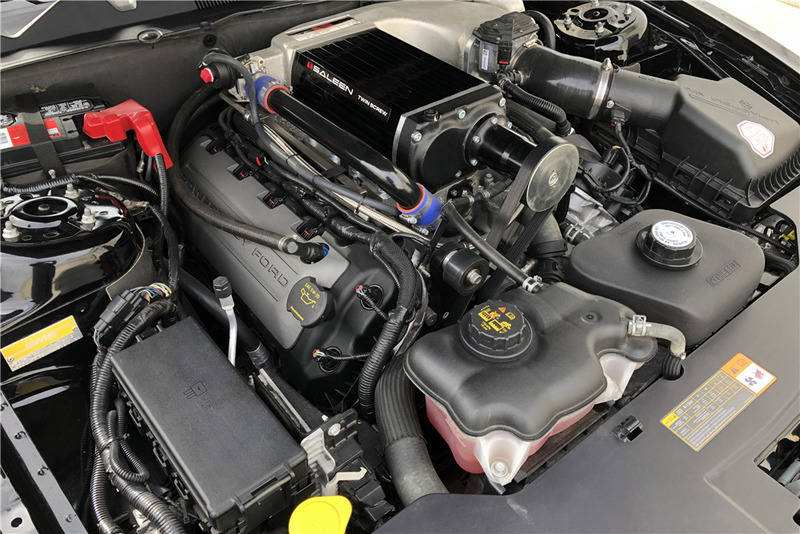 The S7-LM has a sensor that detects if E85 is present and automatically raises the output of the twin turbo V8 engine to a staggering 1,300 horsepower. 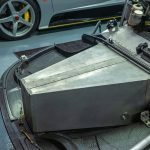 The weight of the car is nearly unchanged, thus giving the S7-LM a serious power-to-weight ratio. 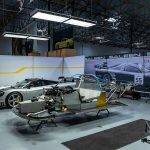 Two of the S7-LM are in the early stages of construction and the third appears to be a finished car. 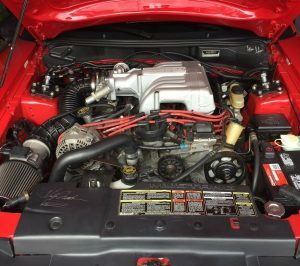 It’s a bit of heaven for car nerds. 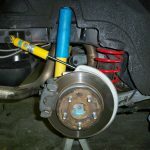 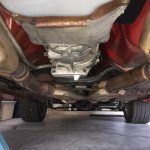 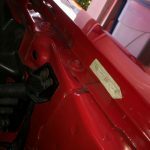 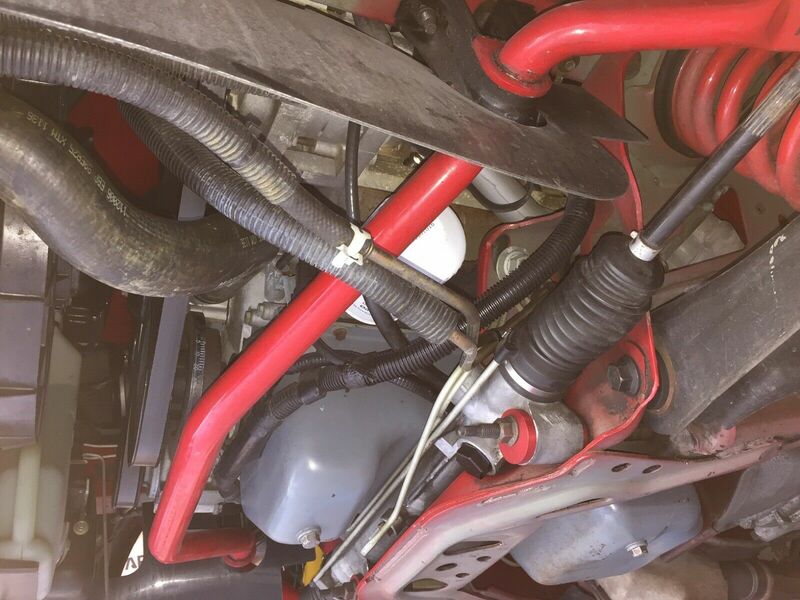 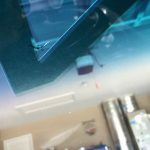 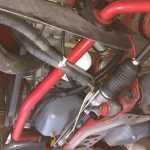 Suspension components, crash structures, and other components that aren’t easily seen on completed vehicles can be closely examined. 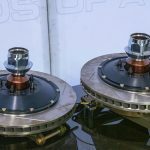 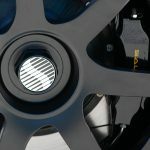 We’re given an opportunity to see just how beefy and well-machined some of the mechanical pieces like the wheel hubs are. 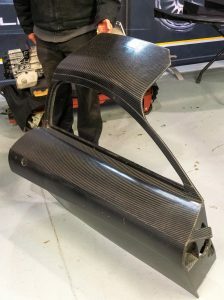 At one point, we’re handed a carbon composite door. 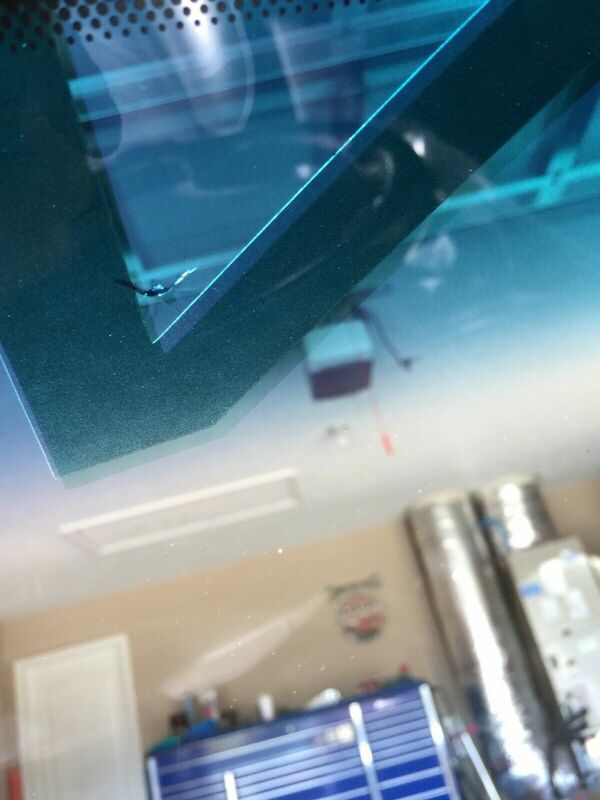 Even with glass installed the entire door only weighs about 13 pounds. 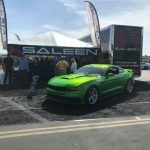 Saleen then described the process of testing and re-testing the crash box at the front of the car. 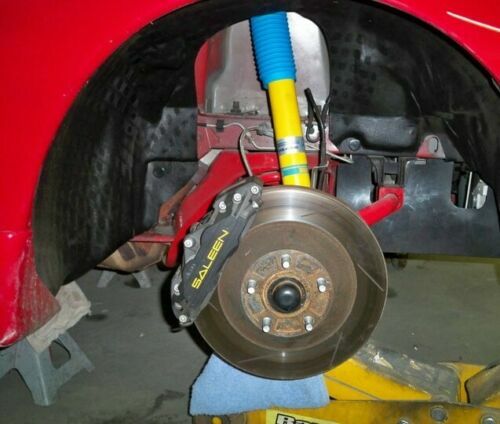 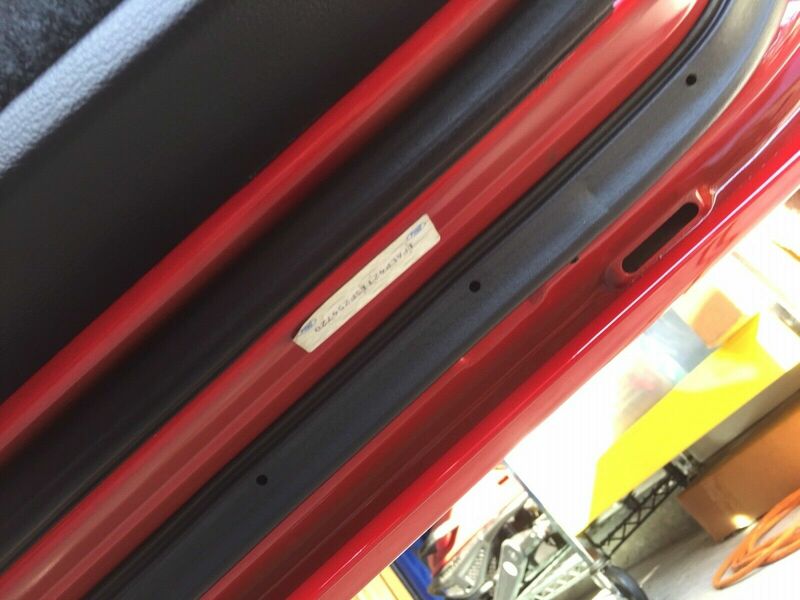 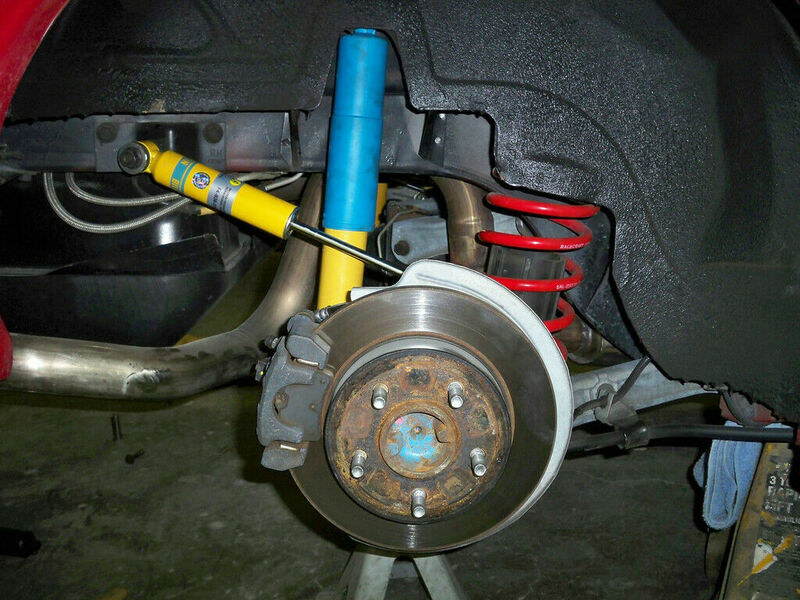 Not only does it protect occupants, it also protects the suspension. 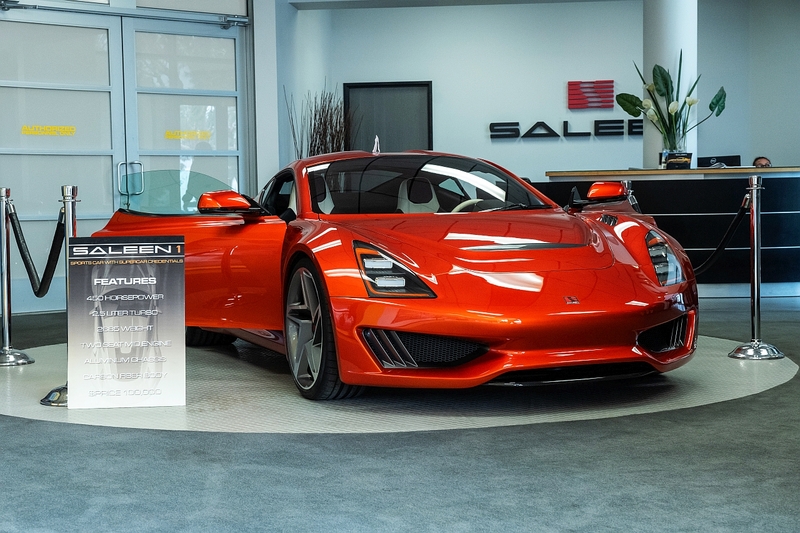 Saleen explains that the S7 was designed to withstand a significant front impact without compromising the suspension. 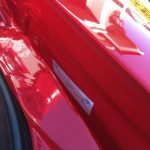 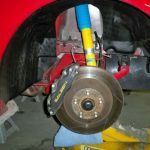 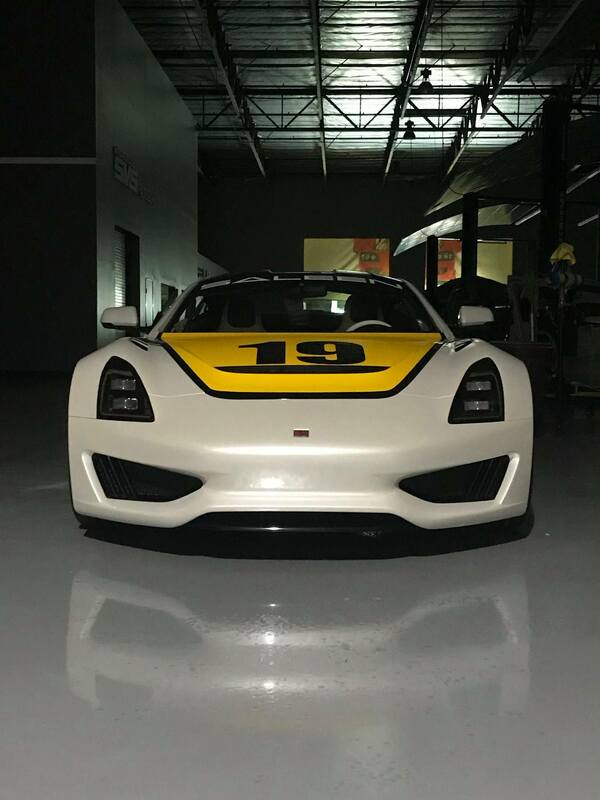 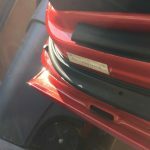 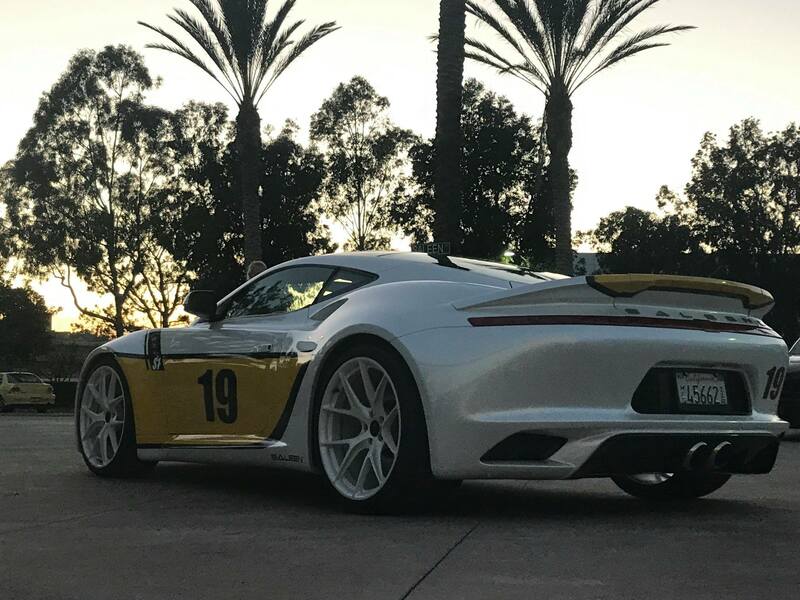 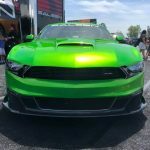 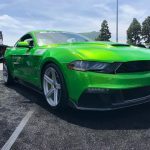 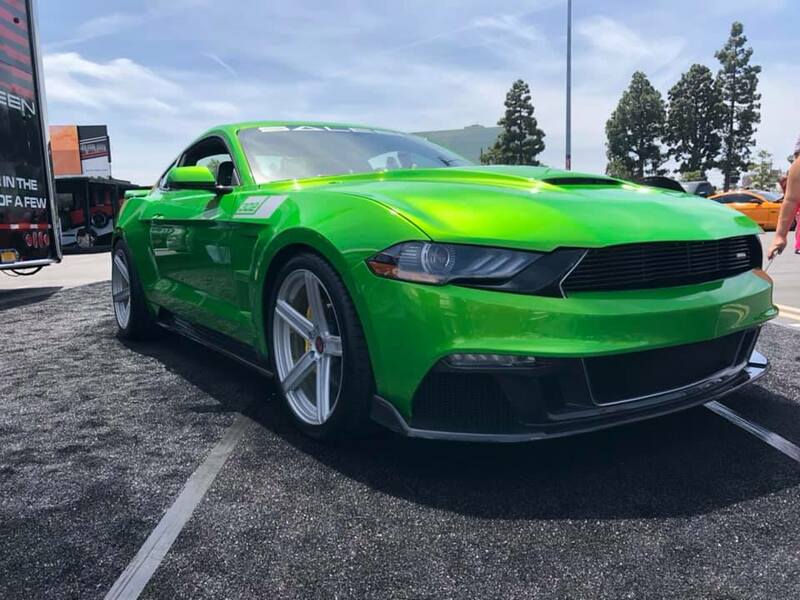 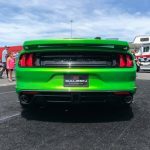 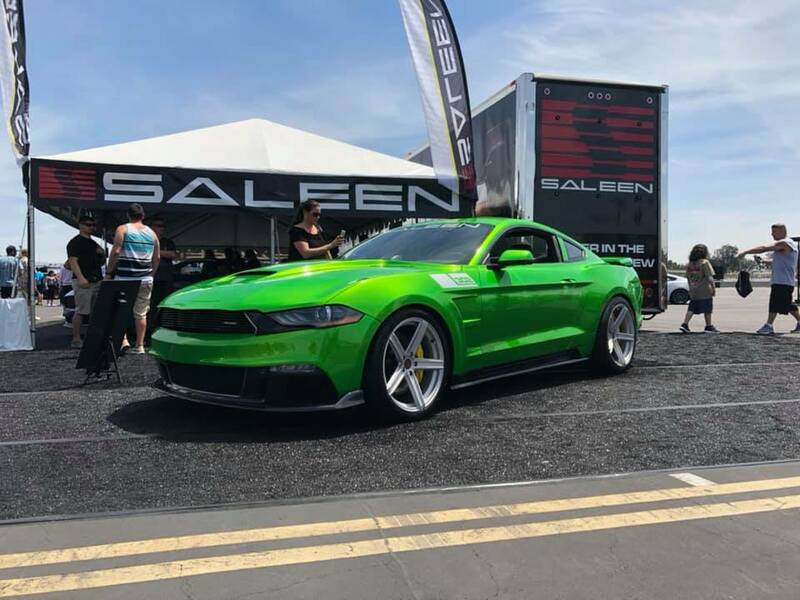 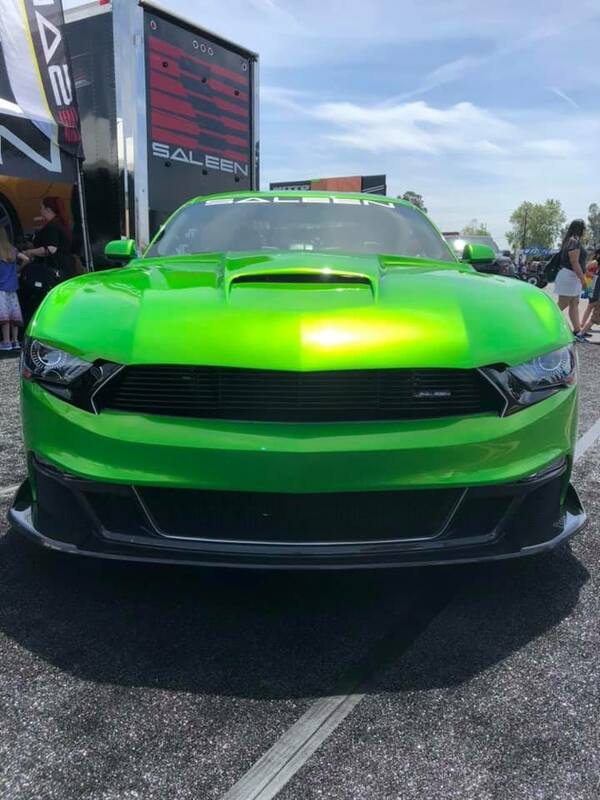 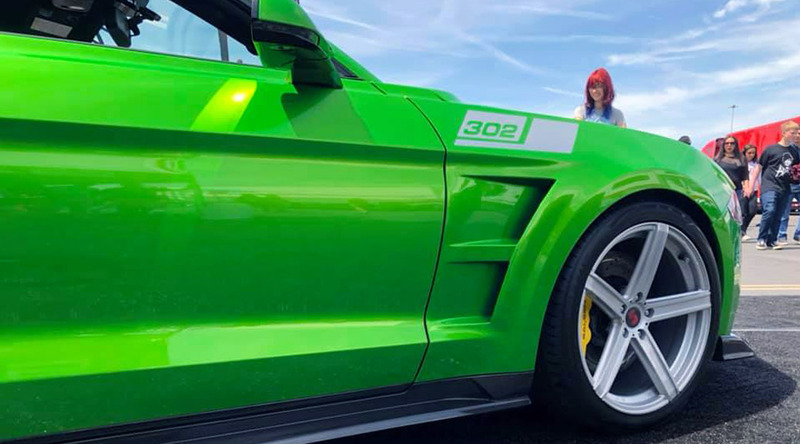 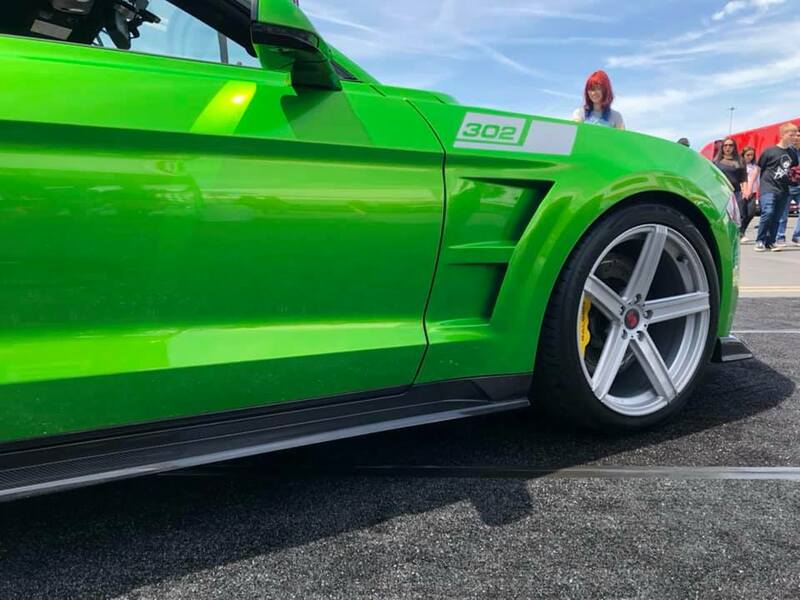 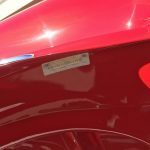 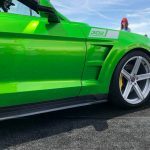 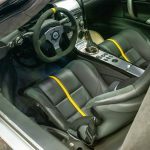 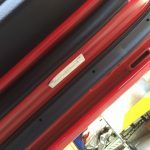 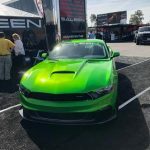 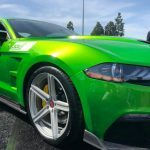 This kind of durability is a benefit on both a street or a race car, and it harkens back to the holistic approach to building cars that Saleen uses. 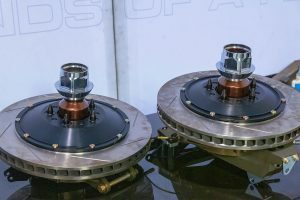 Motorsports fans may look back at the days of Ford vs. Ferrari at Le Mans with fondness and nostalgia, but it’s worth noting that the fight didn’t end in the 1960s. 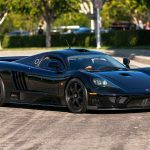 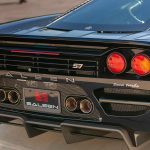 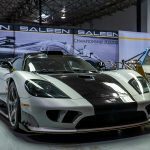 The names and participants may have changed, but that racing spirit lived on and will hopefully continue to do so as the Saleen S7 becomes eligible to participate in historic racing. 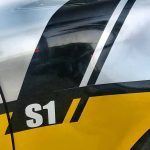 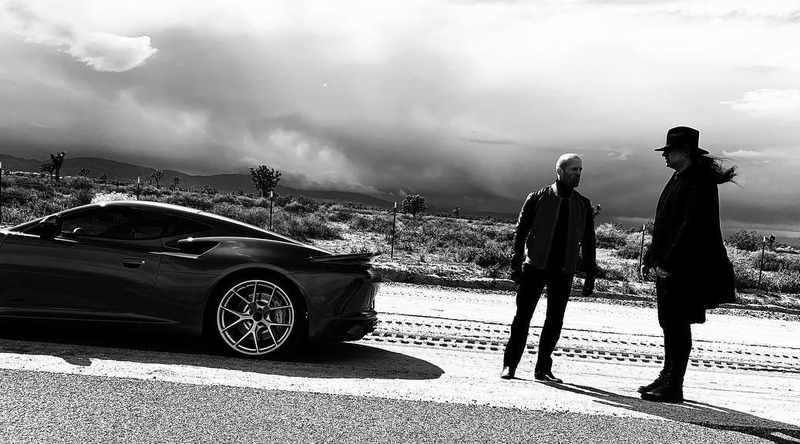 There are discussions about an S7 Reunion to be held in Monterey, in 2020. Saleen intends to design and manufacture cars under the Saleen name. 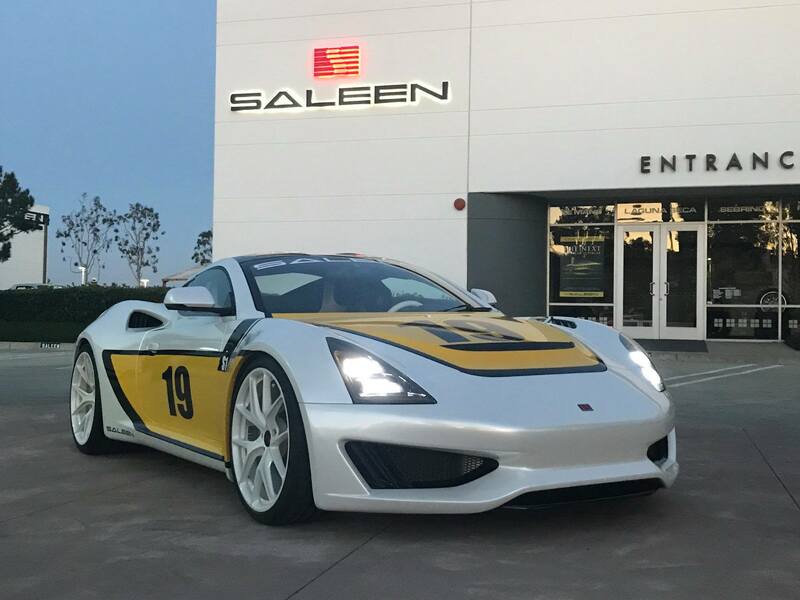 Unveiled at the 2017 Los Angeles Auto Show, the Saleen S1 is due to launch in 2019. 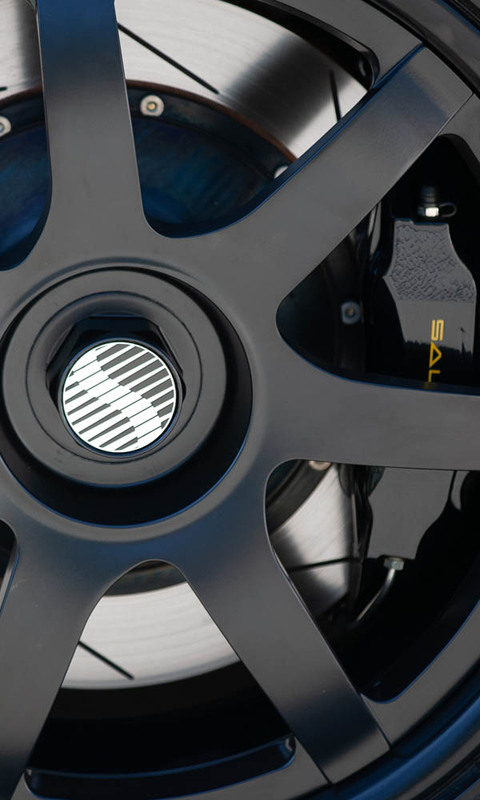 The S1 sports a 450 horsepower, mid-mounted, turbocharged 4 cylinder engine. 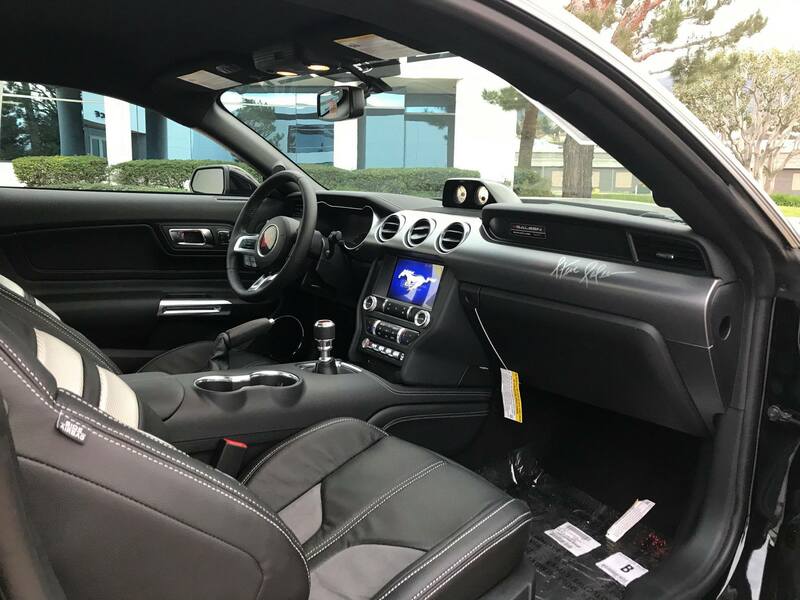 While it’s not a monster like the S7, the S1 clearly shares its lineage. 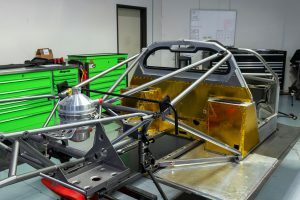 There racing plans for the S1 too. 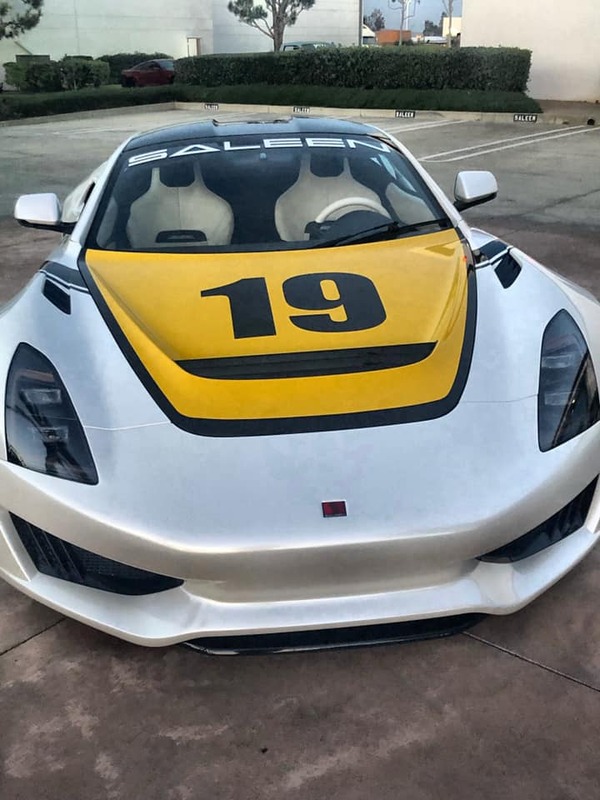 Hardly a surprise when looking back to the start: Steve Saleen is a racer. 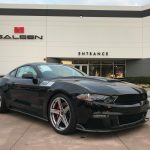 Our visit to Saleen was a great experience. 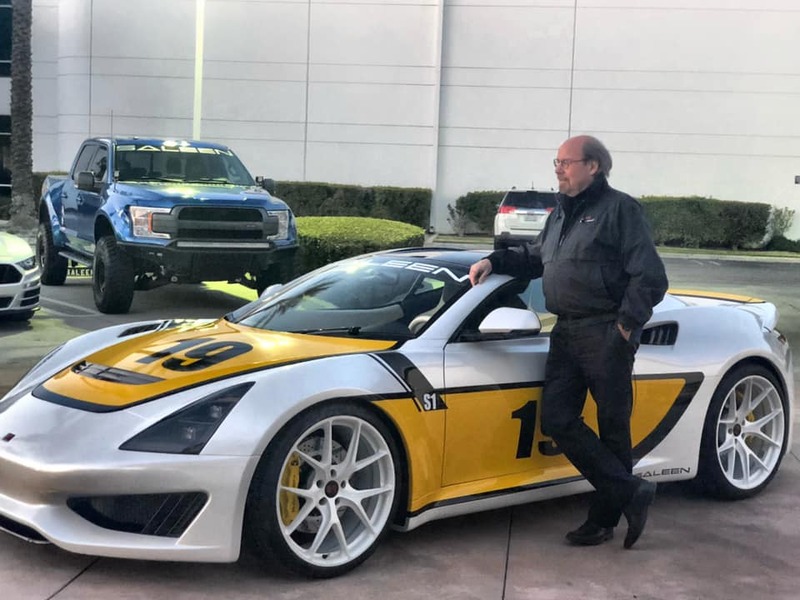 Steve broke down the two major sides of business: “Signature” and “Original.” The Signature side consists of chassis delivered from an existing manufacturer being modified to Saleen’s specifications including the S302 and the Sportruck. 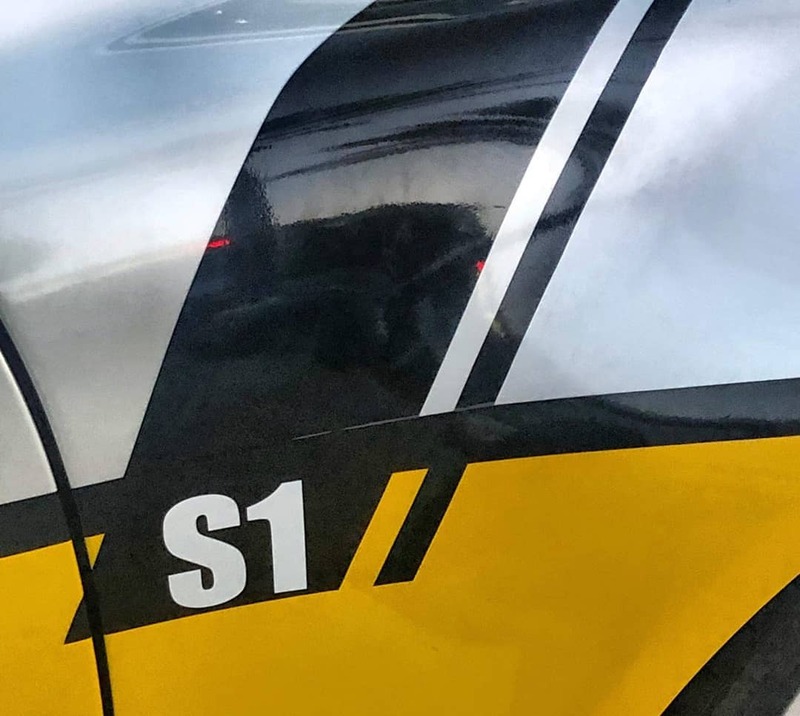 The Original side of the business is where the really special stuff happens such as the S1 and the almighty (no pun intended) S7. 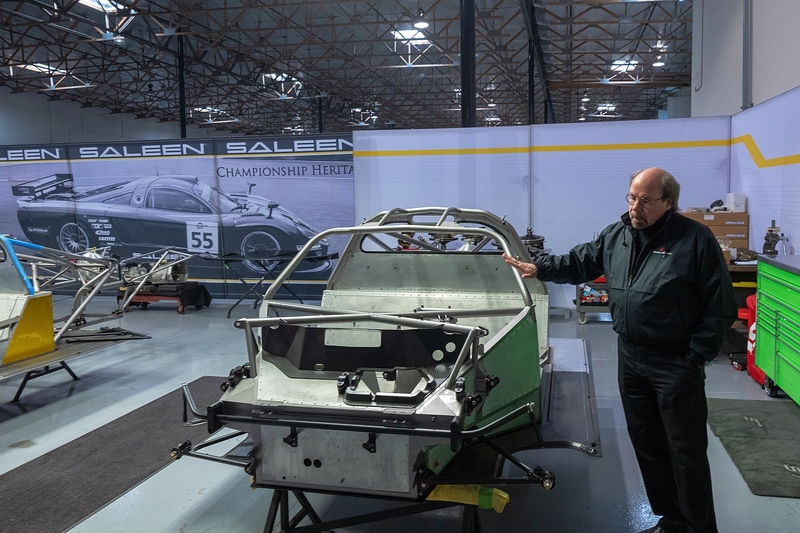 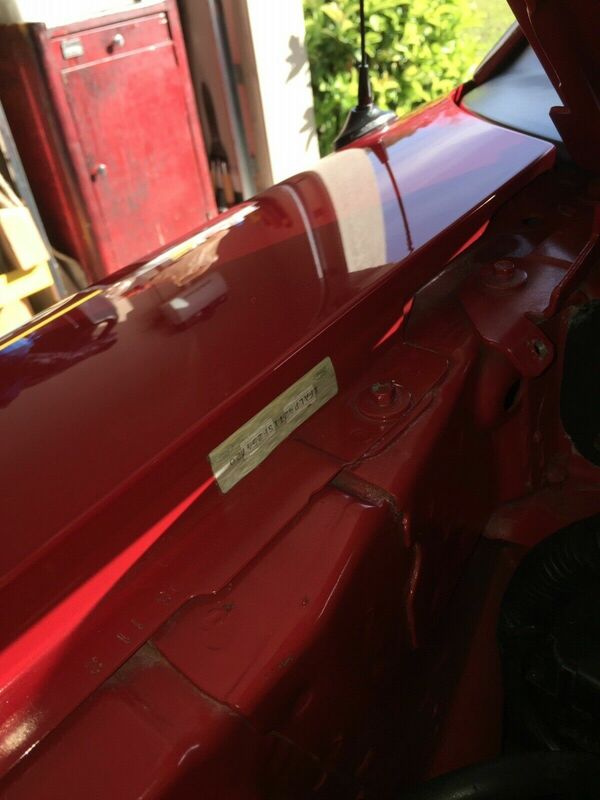 We were shown the process of the S302 builds and were able to see all of the detail that Saleen puts into their cars. 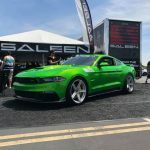 Steve told us “Everything on the cars has a purpose…” and proceeded to point out various aspects of aerodynamics that were focused on when designing the new generation of Saleen Mustang. 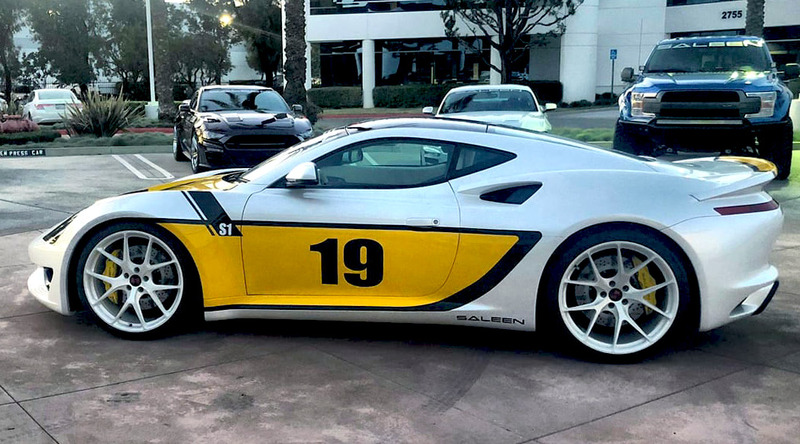 Saleen offers three levels of builds on the S302: White Label, Yellow Label, and Black Label. 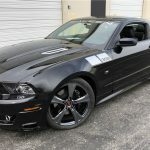 Each one comes with a warranty and plenty of options to choose from. 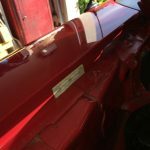 After showing us the Signature side, we went to a separate building where the Original side of operations is. We were shown the new S7 Le Mans Edition in three different forms. 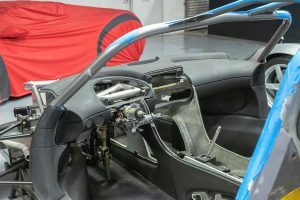 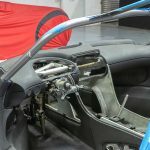 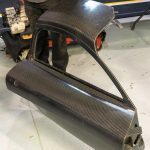 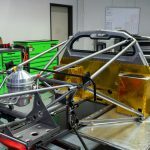 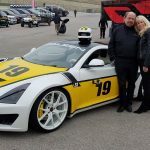 The first form was essentially bare chassis and we were shown how the design is extremely safe as it was meant to have the driver survive a crash at an extreme rate of speed rather than just being designed to pass the typical safety standards. 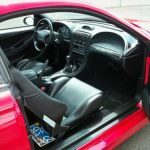 Next to it was another chassis with interior bits and some other things added, then finally the complete car. 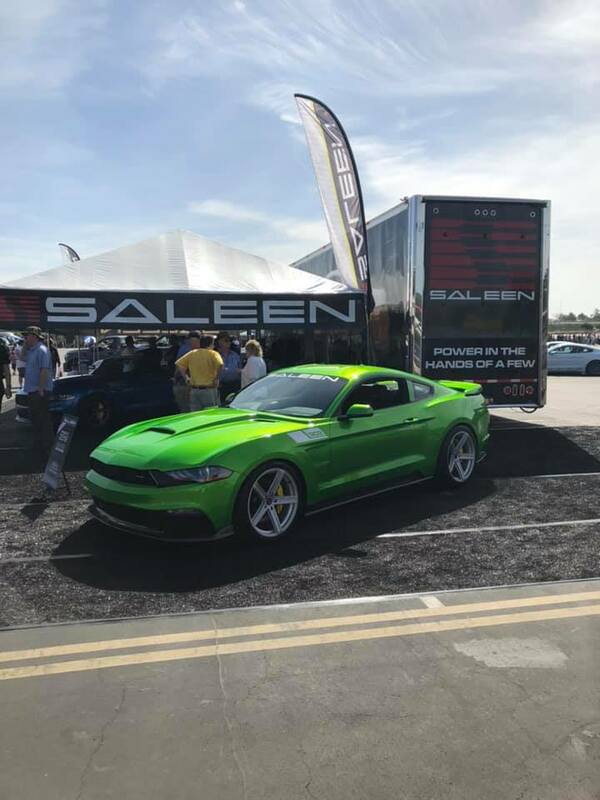 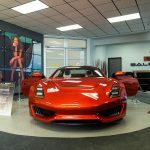 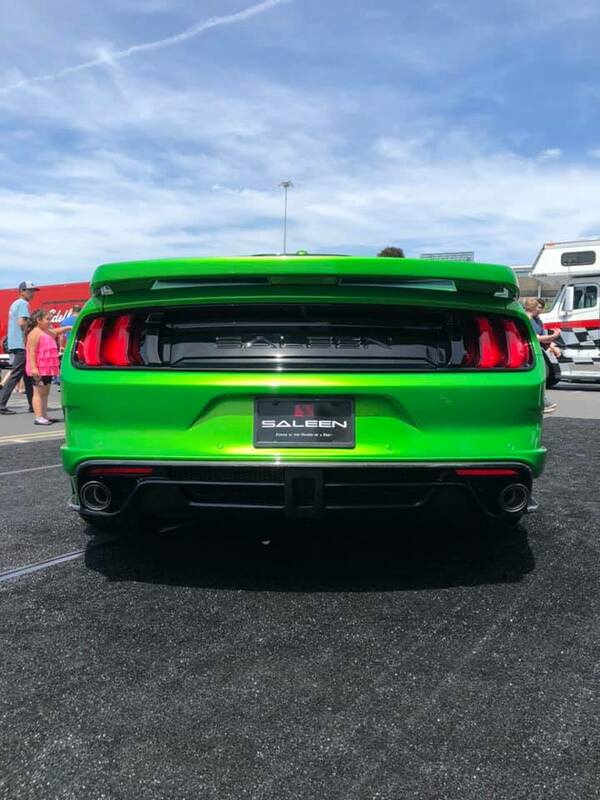 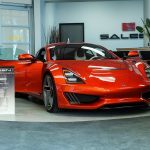 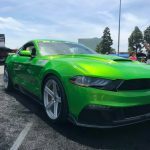 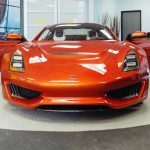 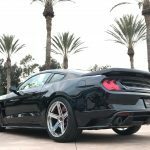 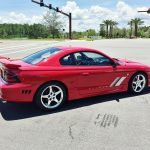 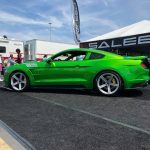 It is very clear that the company has some new tricks up their sleeves and it will be exciting to see what comes next for Saleen.